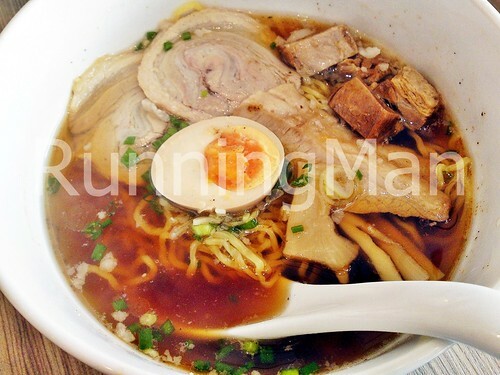 Owned by the BreadTalk Group, RamenPlay specialises in ramen pork bone soup stock made with high quality imported ingredients, using an in-house recipe developed by their team of chefs from Niigata, Japan. 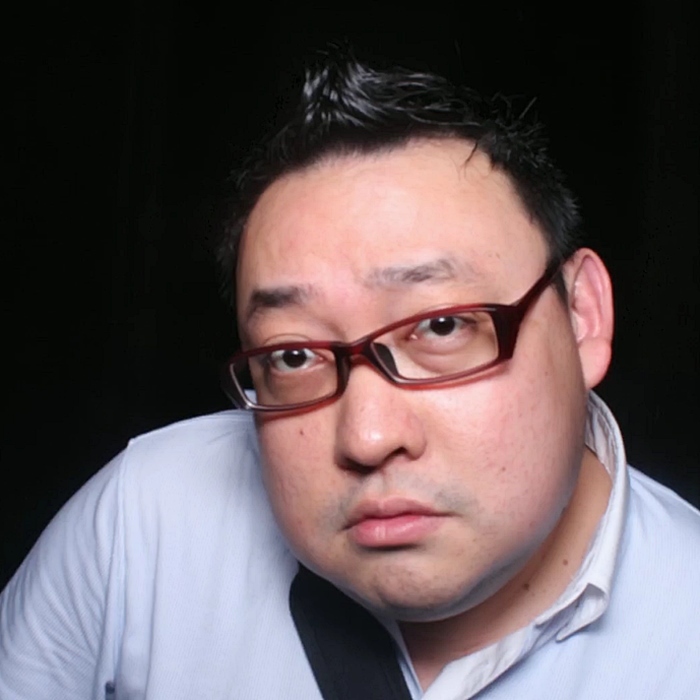 RamenPlay styles itself as having a 'playful' concept, though I fail to see how this theme is incorporated. Ambience at RamenPlay is modern contemporary. Decor is minimal, and colour themes of their outlets is black-and-white classic. RamenPlay staff uniforms add to the overall experience, as they are dressed in theme colours with suspenders. Layout is clean and orderly, but furniture comfort is just average. Service at RamenPlay is quick and efficient, and also rather mechanical in nature. Dishes come out quickly, but style of service is similar to fast food... little interaction, quick, efficient, and a little souless. Decent enough for dining, but not particularly memorable or outstanding. 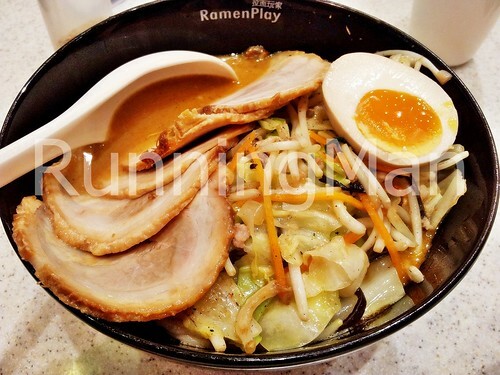 Food at RamenPlay, as the name suggests, is mostly focused on ramen noodle soups. 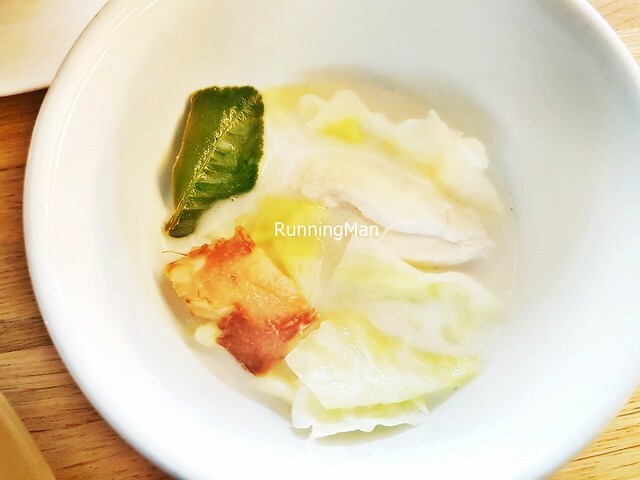 While the noodles are pretty good, with a springy and bouncy texture and slight bite, the highlight is their rich soup base. 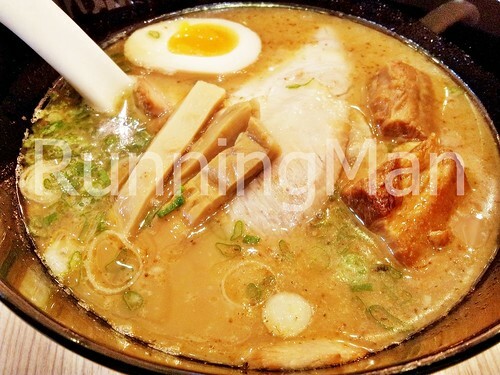 RamenPlay has a good variety of soup options, such as miso, shoyu, tonkatsu and more, and the cuts of meat are quite high quality. 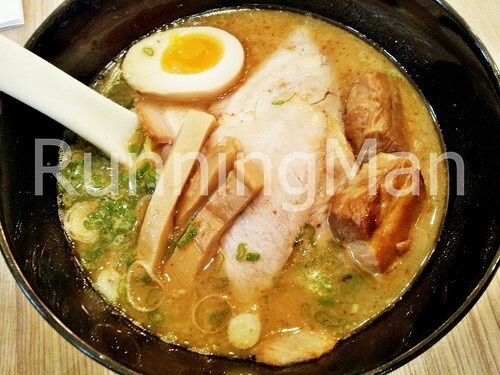 This also means that an average meal at RamenPlay is quite pricey, expect to pay around SGD $20 plus per person. The Sanpou Ramen features a trio of meats; Toroniku (braised pork cheek), Cha Shu (braised pork belly in char siew sauce) and Buta Kakuni (braised pork belly in special sauce). 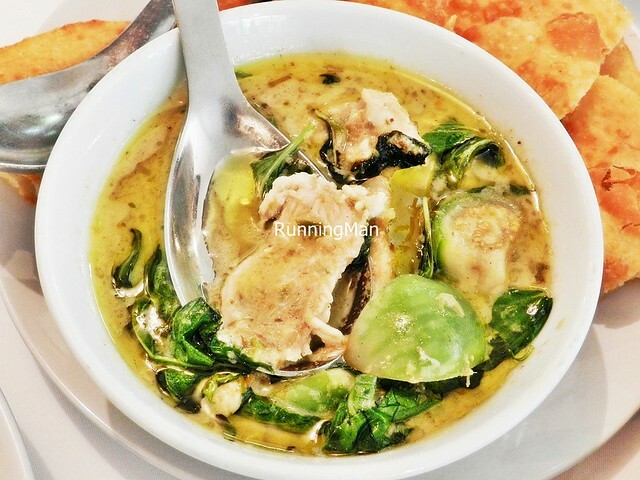 Soup is rich and flavourful, but not too overwhelmingly salty. Excellent! 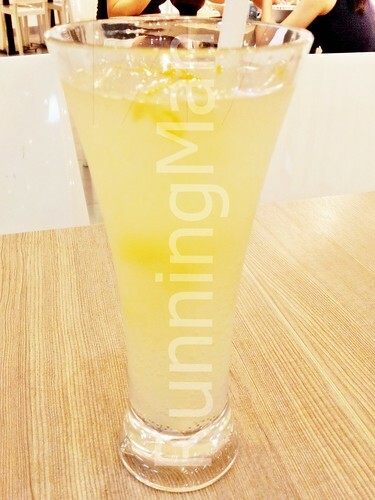 Loved the Super Yuzu with alcohol option, the sweet citrus taste is refreshing on the palate, and is a great cooler. 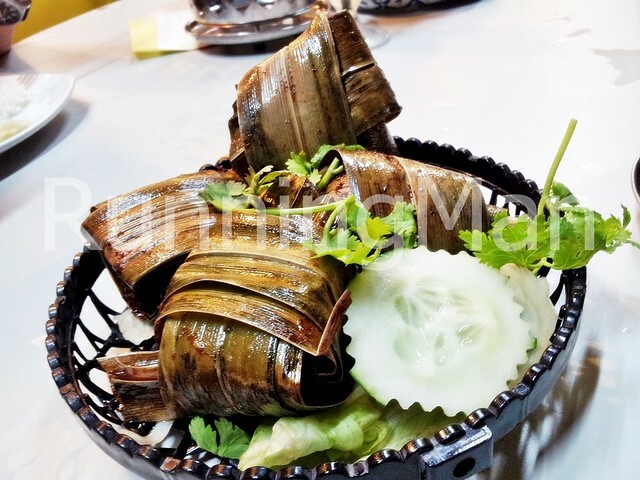 Considered a speciality here, the Bamboo Chicken is minced pieces of chicken steamed on a bamboo piece, which imparts a natural fragrance to the dish. The egg on the side didn't add much though. 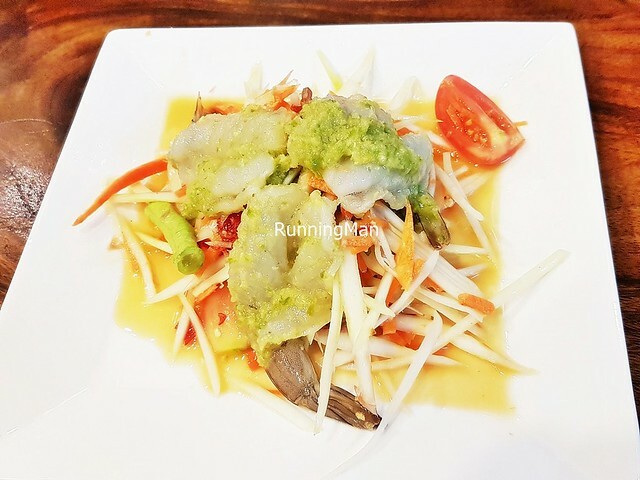 Located within the quiet heartlands, Sakon Thai has been pulling in the crowds with its tasty Thai food and reasonably low priced dishes. 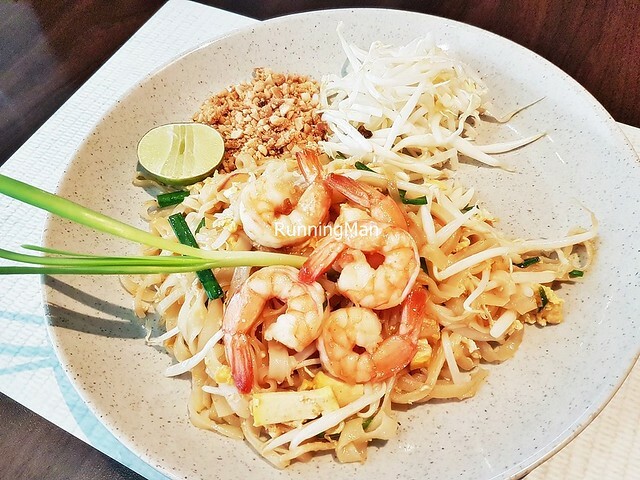 Expect to queue between 10 - 15 minutes when visiting Sakon Thai during meal times! Decor within Sakon Thai is overtly Thai inspired. From paintings to sculptures, tapestry to signage, everything here reminds you that you're dining in a Thai restaurant, right down to the tissue holders. Sakon Thai has pretty comfortable and large furniture, though the layout of the place is rather cramped. Opt to sit outside where it's cooler. I also dislike the harsh orange lighting of the place. Service at Sakon Thai is average. Staff aren't very friendly, and some don't understand English. Utensils seem to be poorly washed, which was noted on repeated visits. You're advised to use the tissue provided to wipe the utensils down first. 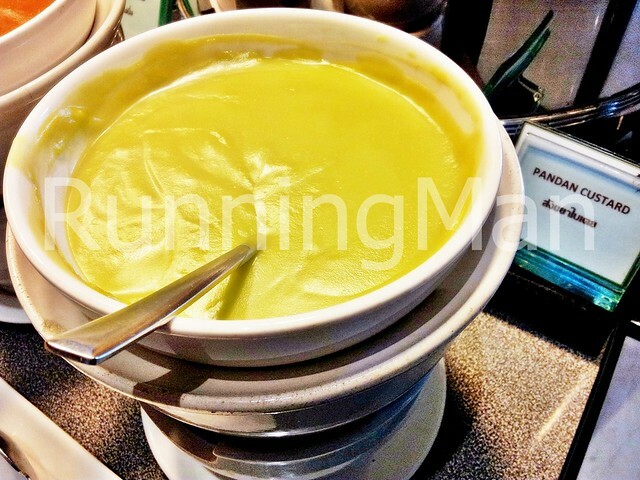 Staff also sometimes spill a little gravy / soup when placing dishes on the table. But food does come relatively quickly even during peak periods. 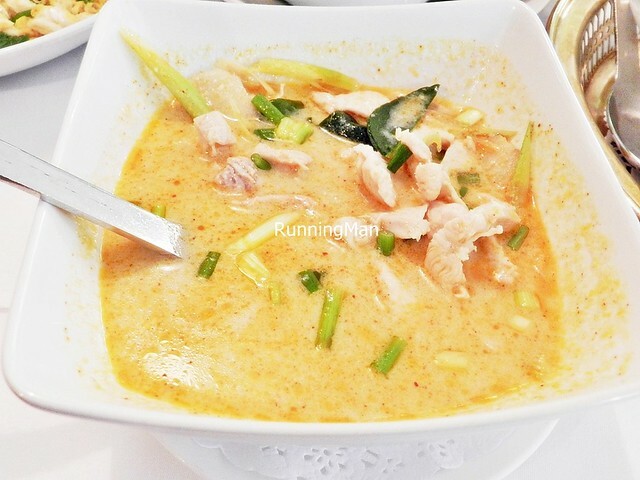 Food at Sakon Thai is authentic Thai, though some dishes stand out above the rest. 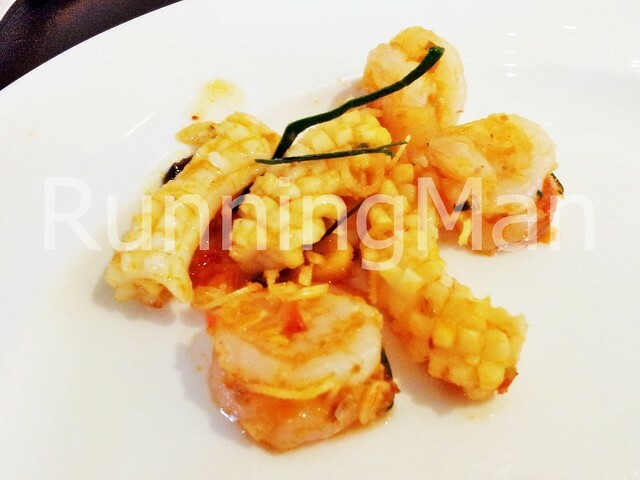 Quality is not consistent through the menu, and dishes that are more popular tend to be slightly more tasty and well prepared, as compared to other dishes which may not be ordered so often. 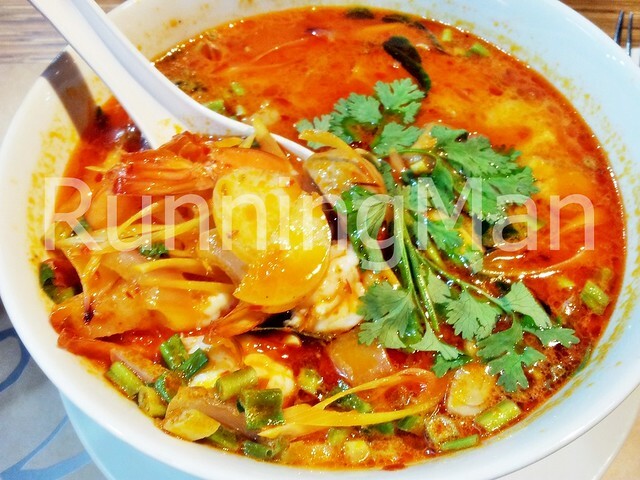 Ingredients used are fresh, especially the vegetables and seafood, which is a plus point. 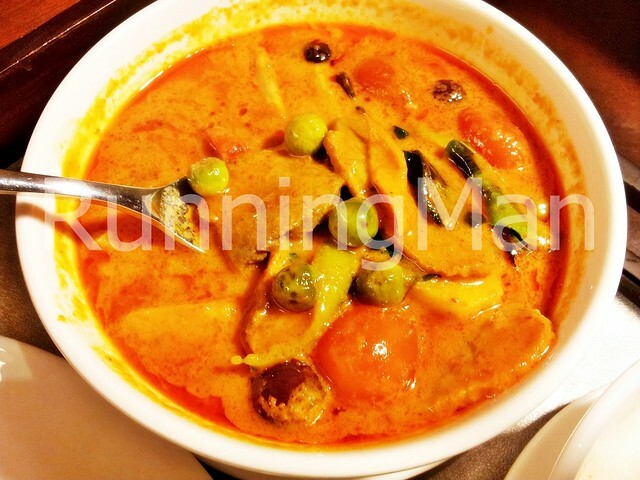 Prices of food at Sakon Thai is quite cheap, and an overall meal may only cost less than SGD $20 per person. 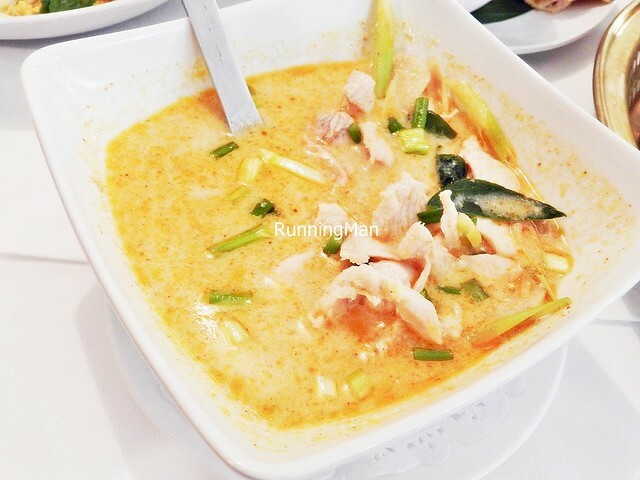 Visit Sakon Thai for the food, and close an eye to the service and gaudy ambience. 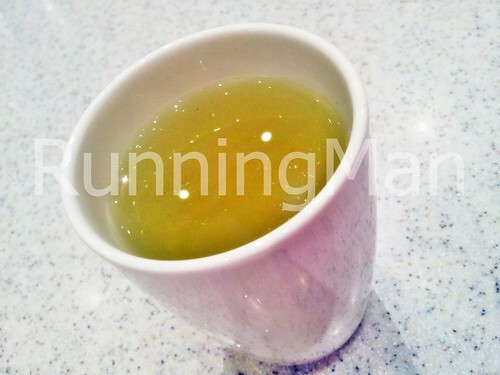 The Lemongrass Tea is bland and weak, and while the aroma is distinct, the taste is rather muted. 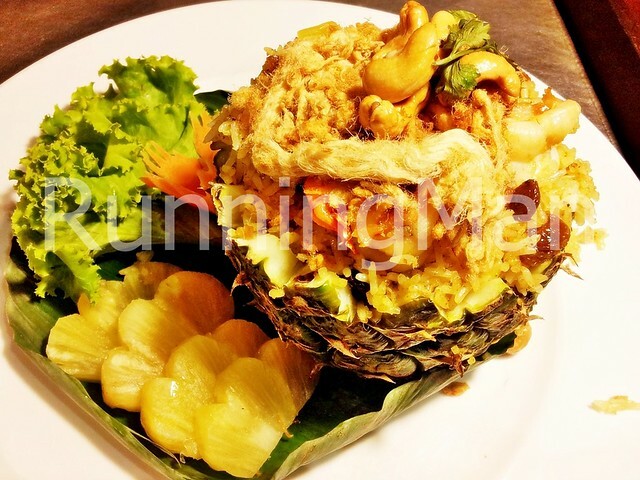 One of the stars on the menu, the Pandan Chicken is fragrant, juicy, succulent, meaty and so good... I found myself wishing for more! 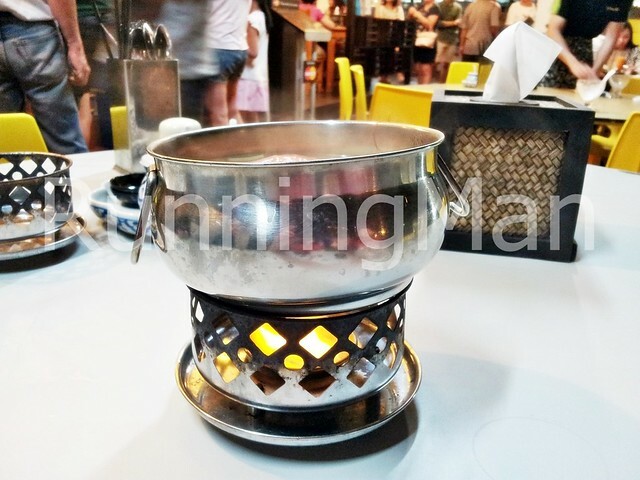 Pot / Pots are kept warm on top of a little burner, which runs out pretty fast. One of the weakest Tom Kar Gai I've ever tasted. 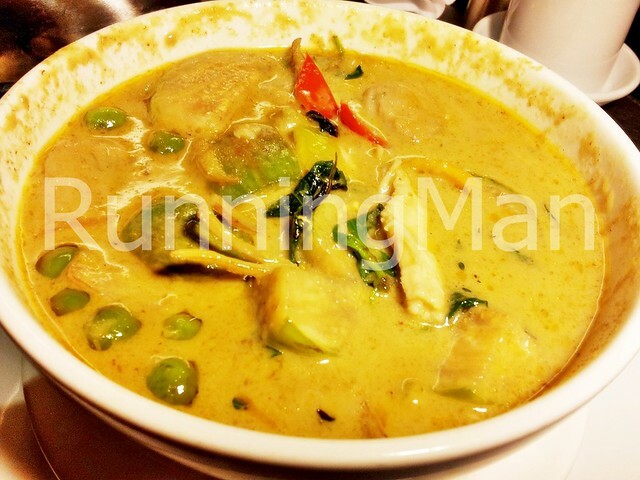 The gravy is too thin, the meat and mushrooms too bland. Fragrant, but not much beyond that. Skip this. 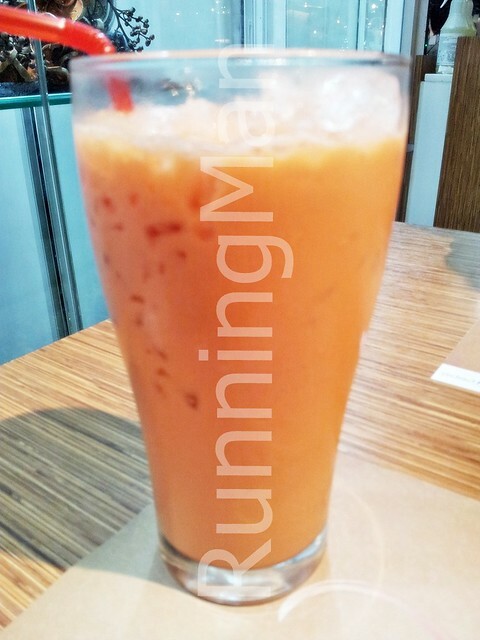 They offer 2 versions of Tom Yum, the clear version, and the red version. Both are fragrant, and quite spicy. Ingredients used are fresh, and there is a generous portion. Pretty good, but not great. 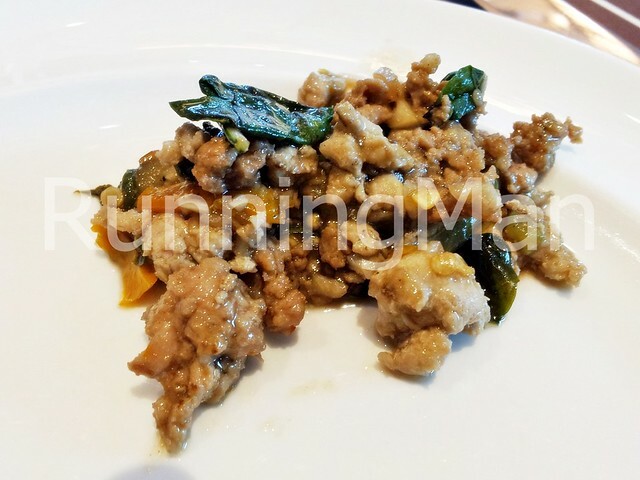 The Minced Basil Pork was savoury, but a little too salty after awhile. Also more oily than I prefer. But the helping as generous, and it goes great with rice. 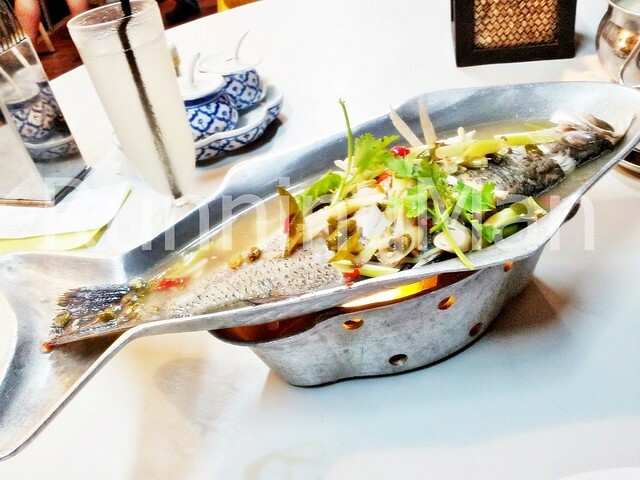 I loved the Thai Style Sea Bass Fish / Pla Neung Manao. Fresh and meaty fish, slight fragrance from the herbs, incredibly tasty sauce. Excellent! 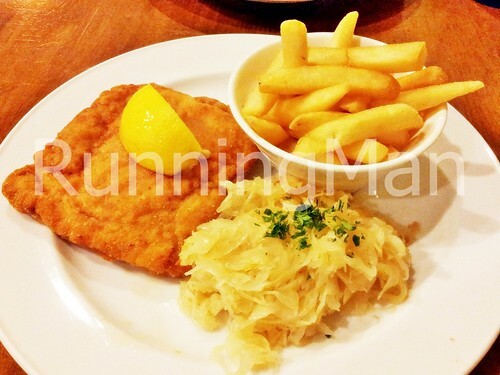 This quiet and unassuming German restaurant and bakery was started by Werner & Nancy Hochbaum in 1988, and was among the first German bakeries in Singapore. Now, over 20 years later, Werner's Oven is still serving up hearty portions of rustic, traditional, home-cooked German dishes. 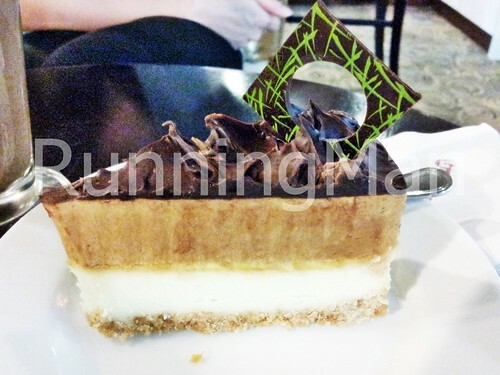 Ambience at Werner's Oven fits with the homely cottage vibe. 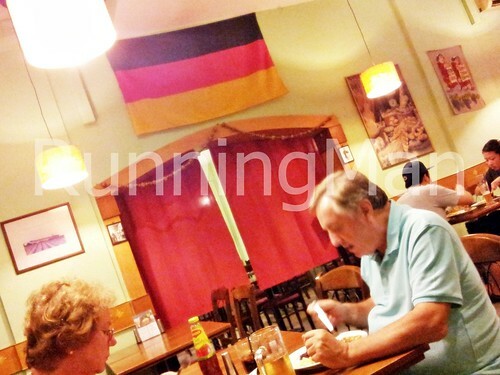 Decor is true and true German, with the German flag hung above the arch doorway, tongue-in-cheek wall paintings, comfortable and rustic looking furniture, and warm lighting. Werner's Oven feels like you've stepped into a countryside home, rather than a restaurant. Service at Werner's Oven is friendly and welcoming. 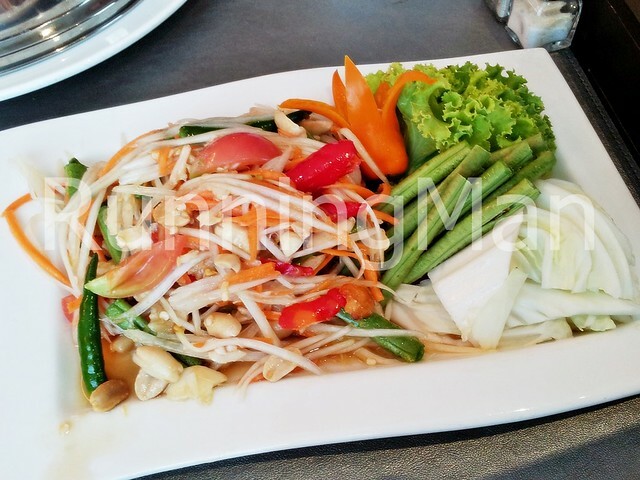 Food is prepared quickly, and served within a short time from ordering. Staff are able to accomodate small change requests, and are knowledgable about the menu. Plus point; Werner's Oven has no service charge. 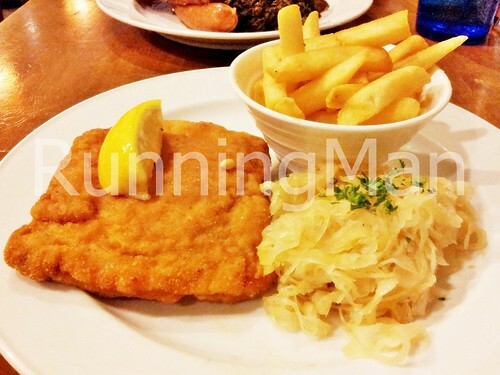 Food portions at Werner's Oven are generous, and the ingredients used are of good quality. 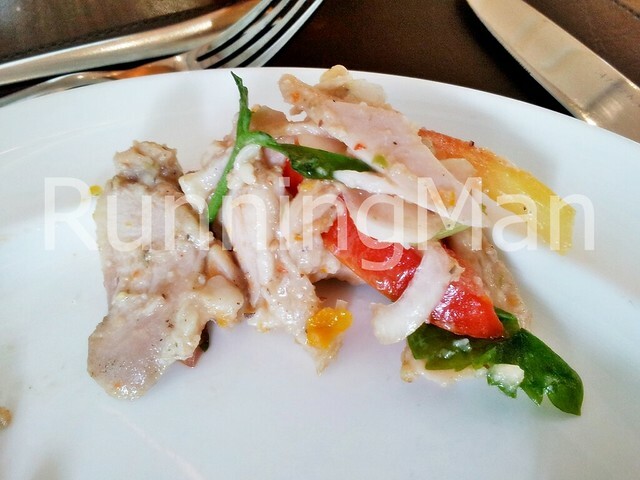 These come at a price though, as a meal at Werner's Oven will cost about SGD $25 + per person. But I must admit that dishes are generally tasty, packing rich and full flavours, with each bite a delight to savour. Truely special and excellent! 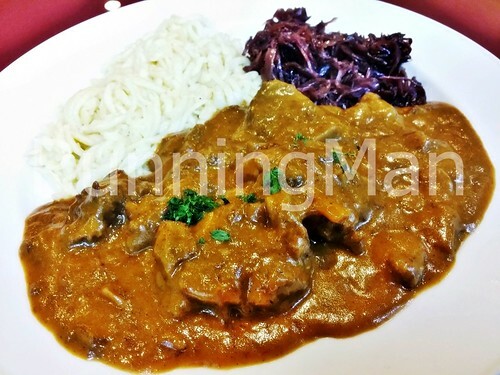 Recipes are authentic, traditional German. The real highlight is their home-made bread, especially the sourdough, all of which are also available at their bakery. 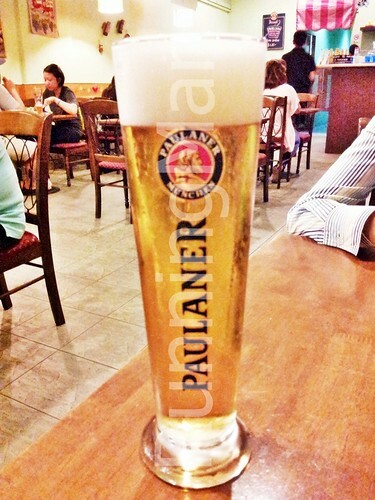 The selection of German beer is rather limited, but sufficient. Keeping such a focused beverage menu allows them to focus on the food. 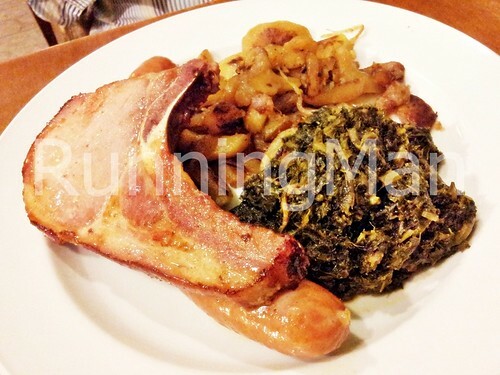 Grunkohl Mit Rauchwurst Und Kassler, or Smoked Pork Loin And Smoked Pork Sausage With Green Kale (Grunkohl) And Sauteed Potatoes, is incredibly flavourful. 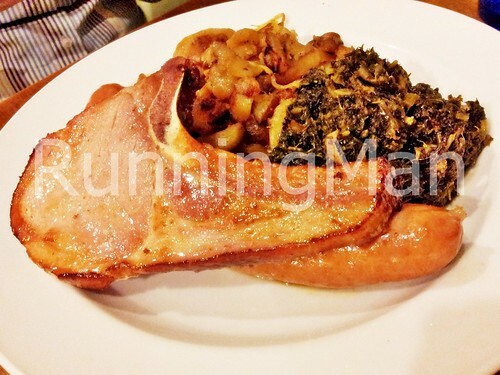 The dish has an intense salty, smoky flavour and aroma, with firm yet juicy generous portions of pork loin and pork sausage. The kale was cooked and seasoned perfectly, such that it wasn't too wilted or bland, which takes some skill. The potatoes were very flavourful, one of the better sauteed potatoes I've had. The Schweine Cordon Bleu With Sauerkraut is a breaded pork loin, stuffed liberally with sliced ham and gooey melted cheese. When cut, the cheese just oozes out. Lovely. 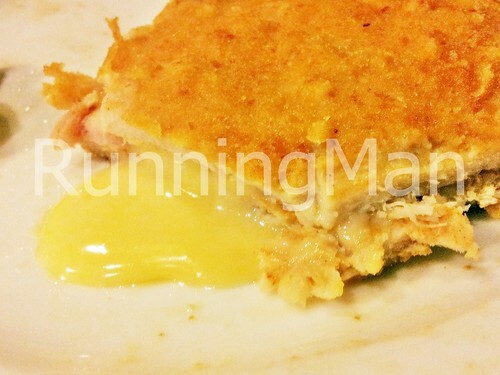 The breaded pork loin tends to be slightly dry around the edges, but fortunately was juicy in the middle. The Sauerkraut was good, not too sour, with a nice bite and slight crunch. Update Jan-2014: Werner's Oven has shifted to 49 Joo Chiat Place since the beginning of 2014. Frankly, I think the ambience is much worse than the original, as the garish red, yellow, and brown hues make the place look more Chinese than German. Fortunately, the food is still as good as ever, and many people still visit for the tasty, freshly made bread. The Rindsgoulash has tasty, thick slices of beef slow cooked Goulash style till the meat is tender, moist and fork tender. The red cabbage was soft, but still has a slight crunch to the bite, which was good, and the spatzle was nicely done and slightly buttery without being too starchy. My only complaint was the gravy was slightly overseasoned. Well known for its line of coffee products, Trung Nguyen Coffee is the largest producer and exporter of coffee in Vietnam. The most sought after coffee in their line is the G7 Original 3-in-1 Instant Coffee, which has a strong fragrant aroma, full-bodied and rich taste, and is slightly sweet. 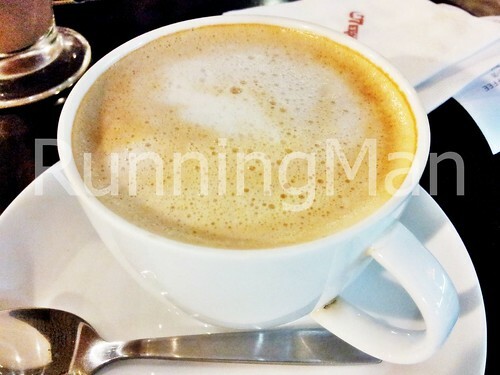 Trung Nguyen Coffee has played to its strengths by opening cafes, serving their signature coffee and other drinks. While decor is contemporary and modern, the brewing process uses the traditional drip filtering method. 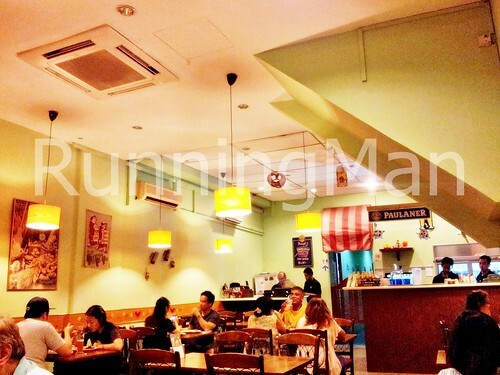 Ambience is casual at Trung Nguyen Coffee, perfect for chilling or shooting the breeze. Service at Trung Nguyen Coffee takes after the larger international coffee chains, where you place orders at the counter, and collect them yourself. 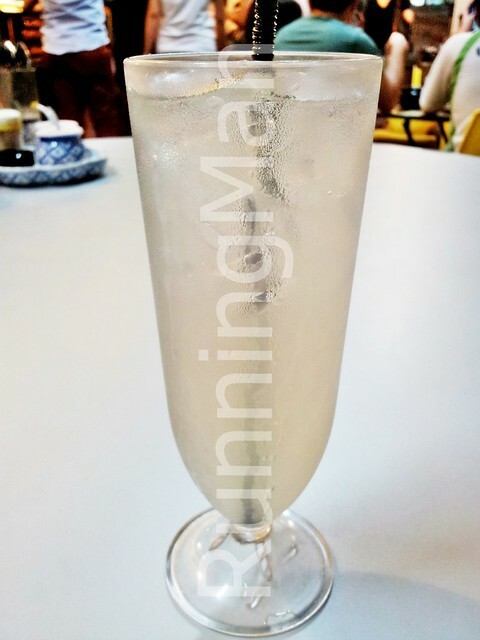 However, if the outlet has fewer customers, staff of Trung Nguyen Coffee are known to serve your order to your table, which is more than what is expected for this kind of casual cafe. Good! 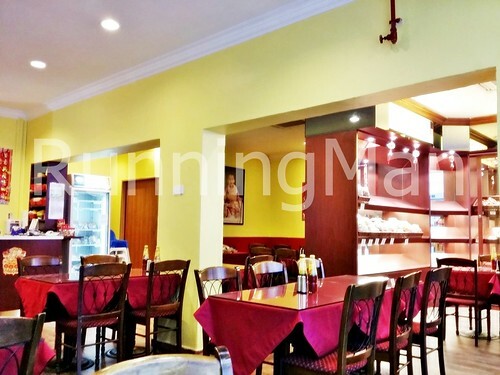 Food at Trung Nguyen Coffee is rather limited, mainly consisting of cakes, desserts, and various light bites such as sandwiches. 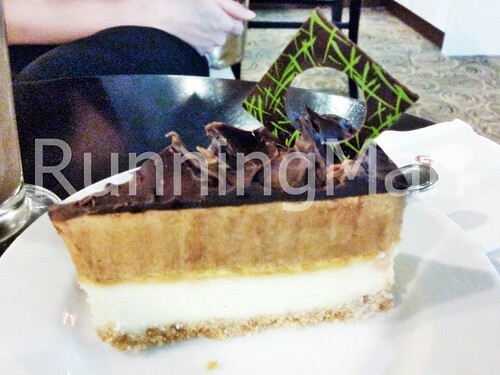 The cakes are pretty good, and worth trying for their unique flavour. The highlight is definitely their coffee, and I like that Trung Nguyen Coffee also sells packets of the G7 Original 3-in-1 Instant Coffee for takeaway. With a population of over 11 million people, high-rise buildings, terrible traffic conditions, intense heat, busy markets and vibrant nightlife, Bangkok is Thailand most accessible and important city. Considered by many to be the quintessential Southeast Asian city, Bangkok is the place that springs to mind when many travellers talk about this region. The rich history and culture of Thailand is evidenced by the many attractions in Bangkok. 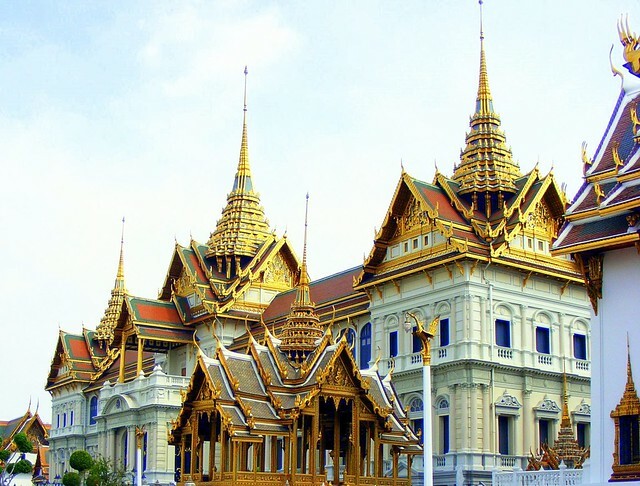 Here are the Top 5 Tourist Attractions to visit in Bangkok, all of which hold important cultural or historical significance. All these are permanent locations which can be visited and viewed at any time throughout the year. The Grand Palace is a complex made up of numerous buildings, pavilions, gardens and courtyards that is partially open to the public as a museum, while the remaining portions are still in use by the government of Thailand. The most significant building within the Grand Palace is Wat Prakeaw, considered to be the most sacred temple / chapel in Bangkok. Wat Prakeaw, or Wat Phra Kaew houses a statue carved from a single piece of jade stone. The entire complex offers visitors a look into the lifestyle, architecture, and culture of Thai royalty. 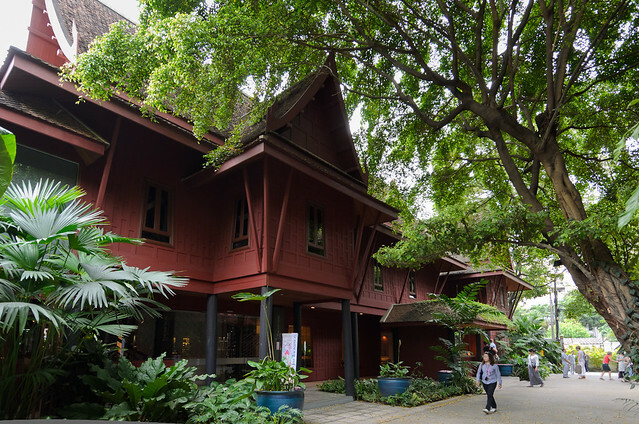 Located in central Bangkok, the Jim Thompson House is a museum named after American businessman and Thai silk mogul, James Harrison Wilson Thompson. Comprising 6 traditional Thai homes, Jim Thompson House showcases art and antiques from across Thailand, as well as a glimpse into how ordinary Thai people lived. Siam Ocean World is among the largest in Southeast Asia, covering over 10,000 square meters and housing over 400 species of marine life in 7 different theme zones. Located in the basement of the glitzy, up-market Siam Paragon Shopping Centre in downtown Bangkok, the highlight at Siam Ocean World is the 270-degree underwater viewing tunnel. 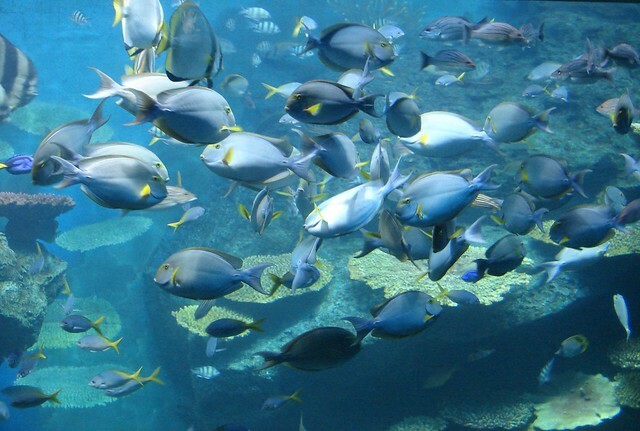 It also serves to educate people about marine life in Thailand. 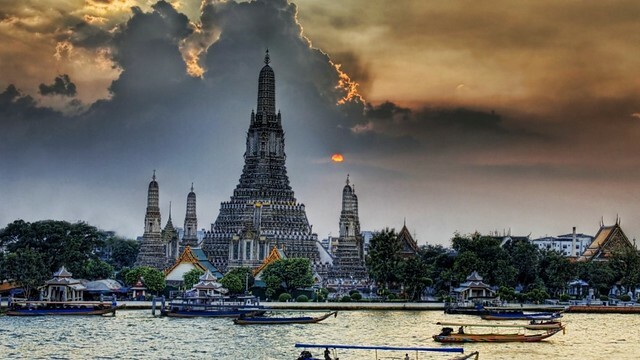 Also known as the Temple Of Dawn, Wat Arun is one of the most well known landmarks in Thailand. With its distinctive spires encrusted with seashells and colourful porcelain, Wat Arun gleams with spectacular iridescence in the early morning light of the rising sun over Bangkok. The silhouette it casts during sunset is just as magnificent. Located on the outskirts of Bangkok, Damnoen Saduak Floating Market is the biggest and most well known floating market in Thailand. 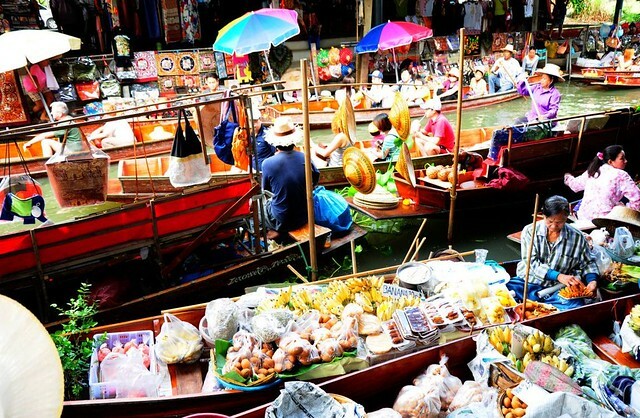 Known for the vibrant and busy activities of merchants paddling through congested canals in long, sturdy canoes heavily laden with all manner of goods, Damnoen Saduak Floating Market is best visited in the mornings. 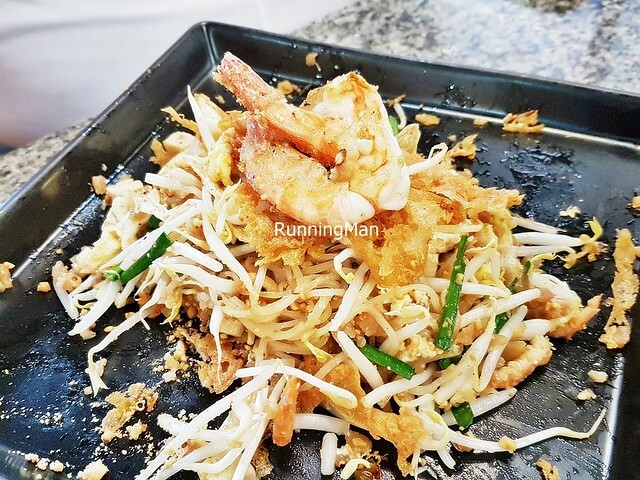 Bangkok Street Food is a melting pot of Southeast Asian flavours, and as part of the overall cuisine of Thailand, is one of the most iconic and well-known cuisines worldwide. 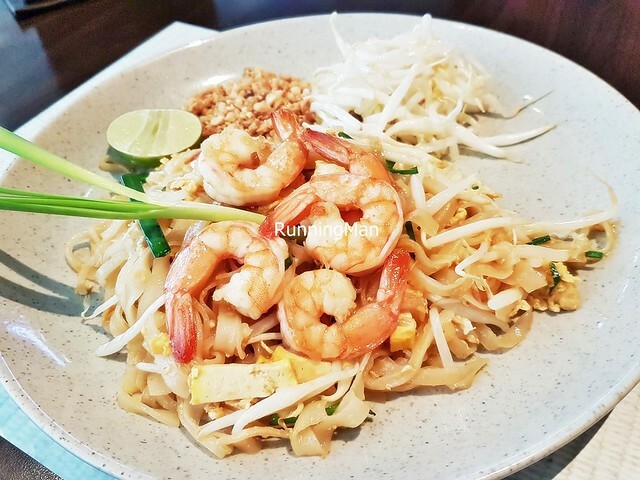 Thai cuisine has an emphasis on lightly cooked ingredients with strong aromatic fragrances, and a complex blend of the 4 fundamental tastes of sweet, sour, bitter, and salty. 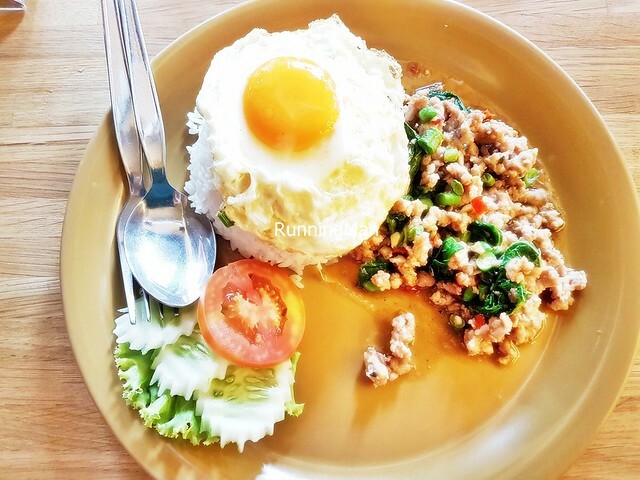 The key in Thailand cuisine is not simplicity, but a good balance of these 4 tastes. Bangkok Street Food exemplifies this balance. 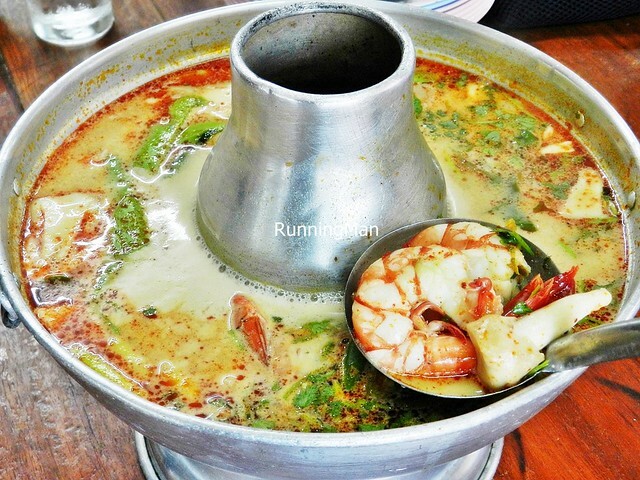 Food in Bangkok can be found in pushcarts along the streets, in cafes, mid-range eateries or fine restaurants. 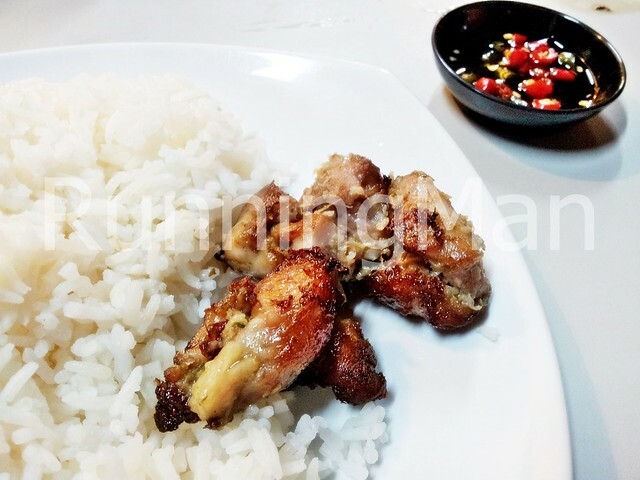 Meals typically consist of white rice, several dipping sauces and condiments, along with other complementary dishes served together, and shared amongst diners. 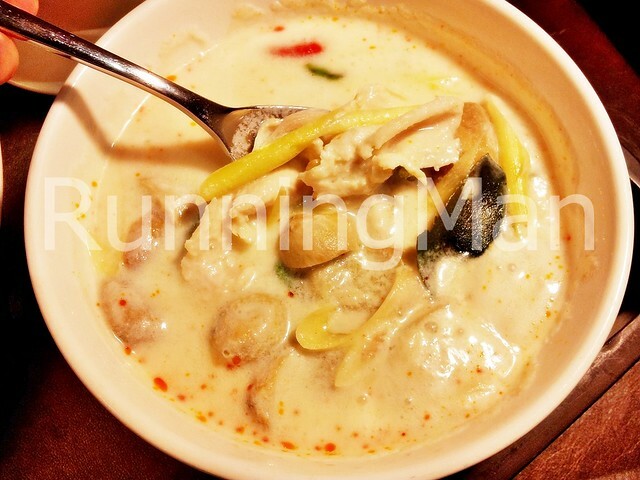 Food is consumed with hands, or with a fork and spoon, and chopsticks are rarely used by Thai people. 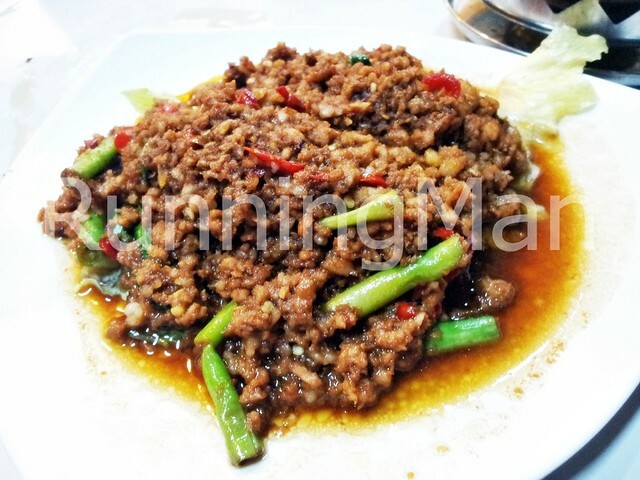 Bangkok Street Food is noted for its spiciness, and for its use of fresh herbs and spices. Common herbs include cilantro, lemongrass, Thai basil and mint. 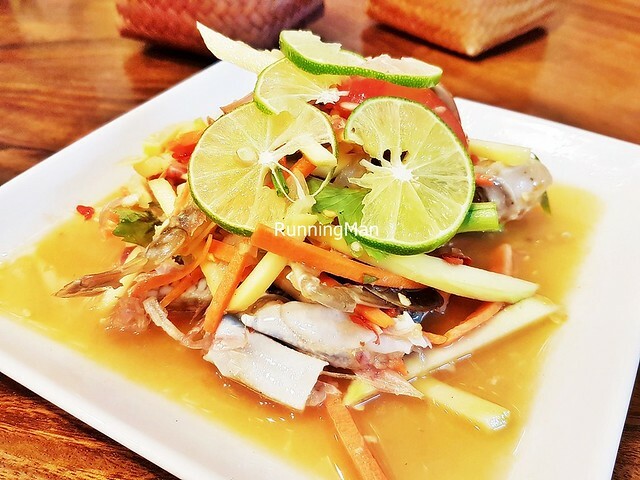 Other common flavors in Thailand food come from ginger, tamarind, garlic, kaffir lime, chili and fish sauce. 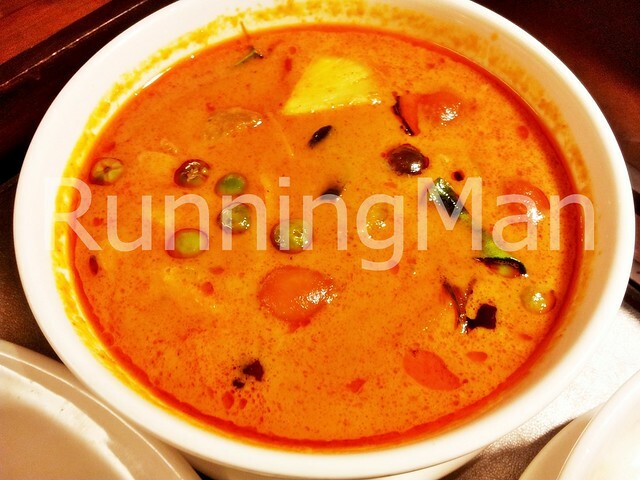 Breakfast in Bangkok is rather light, and very similar to dishes in Chinese cuisine, such as porridge or soy milk. 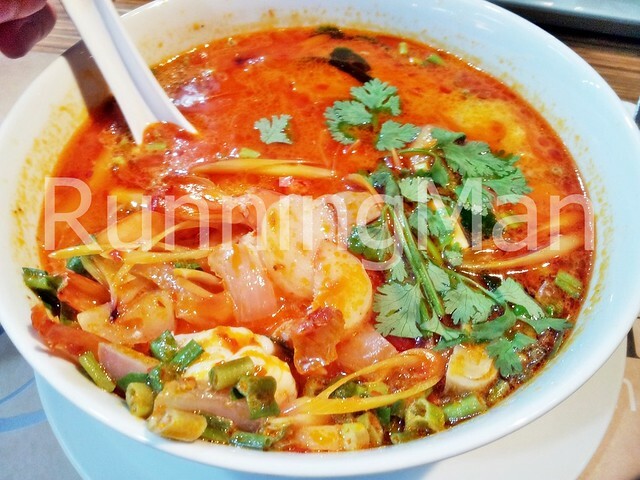 Individual one-plate dishes often include rice or noodles, along with 1 type of meat or seafood. 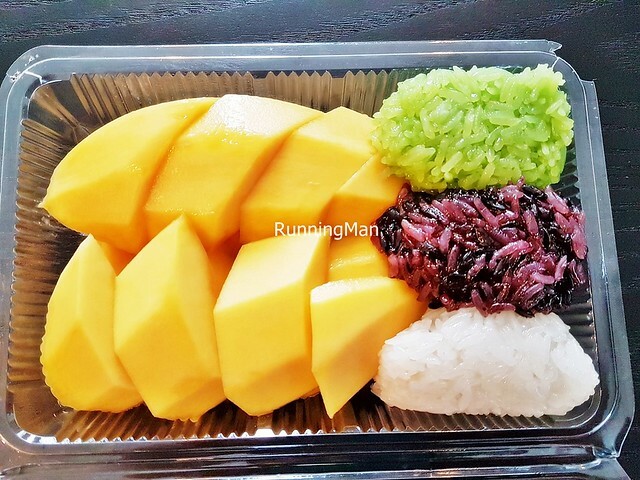 There is a large variety of desserts in Thai cuisine, although many people in Bangkok typically also consume fresh fruit as a dessert. 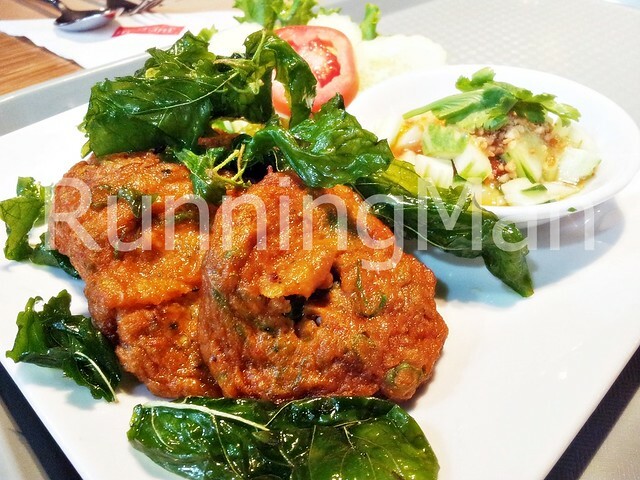 Deep-fried insects are an exotic snack in Bangkok Street Food, and while fairly bland on their own, are often flavoured with herbs and spices to enhance their taste. 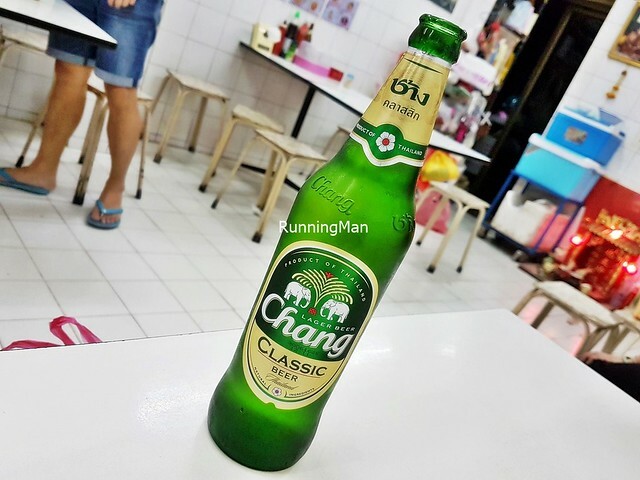 Chang Beer is a pale lager, produced by Thai Beverage / ThaiBev, the largest brewery in Thailand. 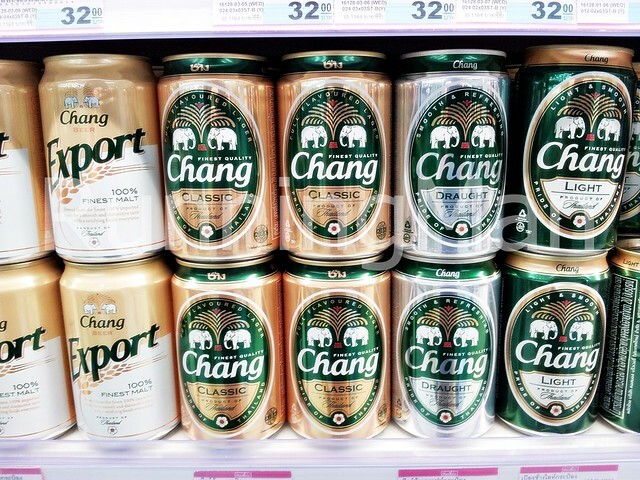 The name Chang Beer refers to elephants, and important animal in Thai culture. It has a complex aroma of floral and fruity notes, with a rich, sweet and smooth taste. 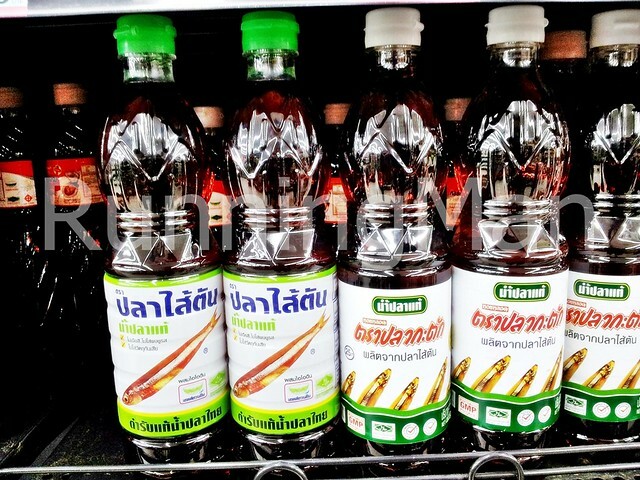 A dark liquid produced by fermenting fish with sea salt, Fish Sauce is a key ingredient in Thailand cuisine, used in many dishes for its salty, savoury, umami tastes. Beyond its use as an ingredient, Fish Sauce is also used as a base for dipping sauce condiments. 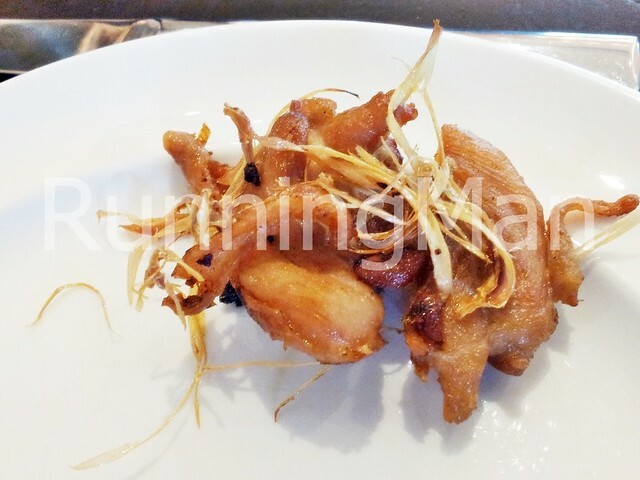 A poetically named dish (all 3 words rhyme), Gai Sai Takrai / Lemongrass Chicken consists of stir fried sliced chicken with lemongrass, garlic, kaffir lime leaf, galangal, shallots, garlic chives, onions, chilli, fish sauce and chicken stock. 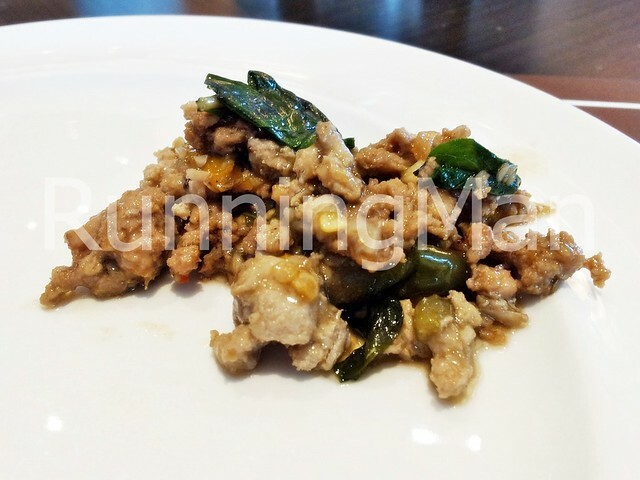 Gai Sai Takrai / Lemongrass Chicken has a fragrant, spicy aroma. 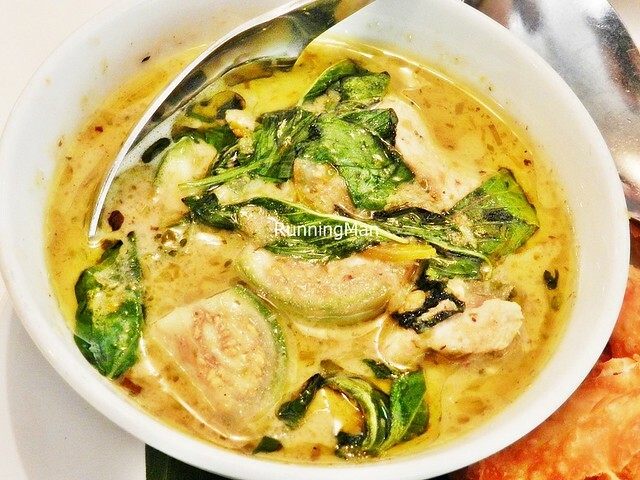 Kaeng Khiao Wan Gai / Green Curry Chicken is a sweet, thick, mildly spicy curry that is made with fresh Thai basil, green chili, coconut milk, sugar, fish sauce, eggplant, shallots, garlic, galangal, lemongrass, kaffir lime leaf, coriander root, coriander leaves, cumin seeds, peppercorn, shrimp paste, salt, pea eggplant and sliced chicken. Sometimes, other types of meat is used instead of chicken, such as sliced beef, sliced pork, or fish balls. 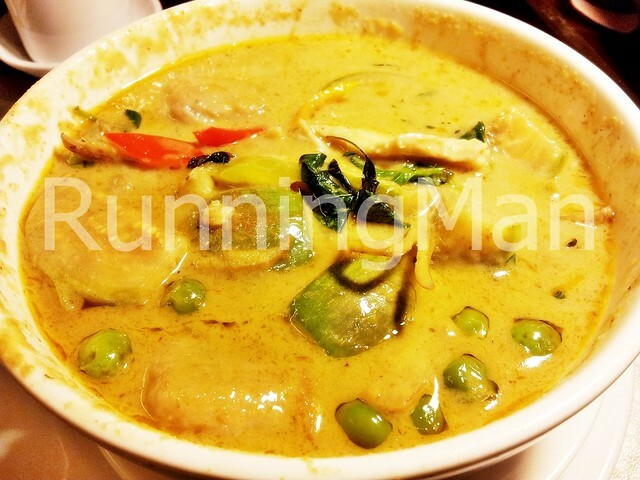 Kaeng Khiao Wan Gai / Green Curry Chicken is eaten with steamed white rice. 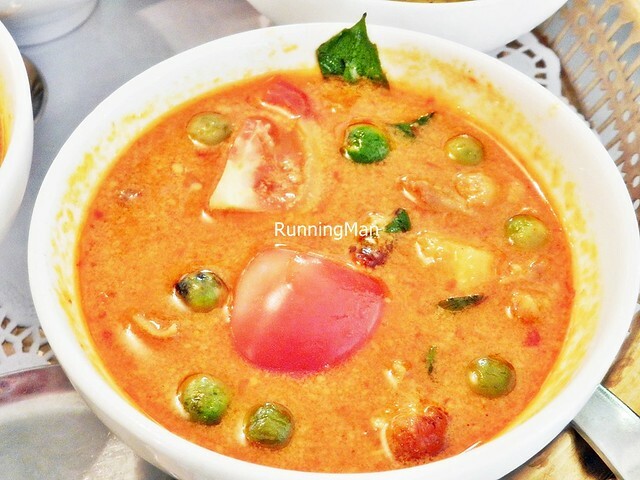 Kaeng Phet Pet Yang / Red Curry Duck is a sour, thick, very spicy curry dish, made with cumin seeds, coriander seeds, peppercorn, salt, red chili, galangal, lemongrass, kaffir lime leaf, coriander root, shallots, garlic, shrimp paste, coconut milk, sliced pineapple, cherry tomatoes, red grapes, Thai basil, fish sauce, soy sauce, sugar, pea eggplant and sliced roast duck. 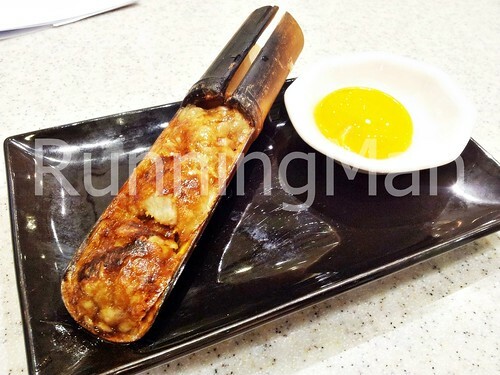 Sometimes, other types of meat is used instead of duck, such as sliced beef or sliced chicken. 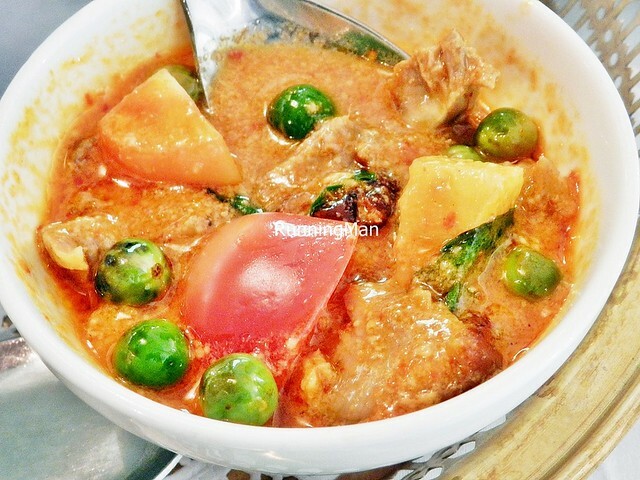 Kaeng Phet Pet Yang / Red Curry Duck is eaten with steamed white rice. 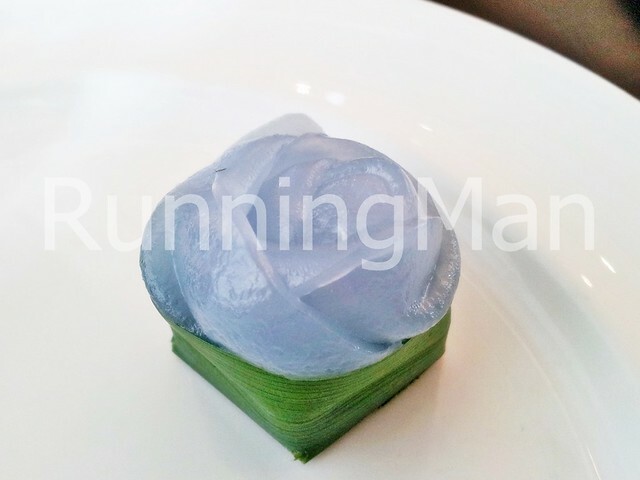 Khanom Chun / Layered Gelatin Jelly is a traditional Thailand dessert, popular in Bangkok. 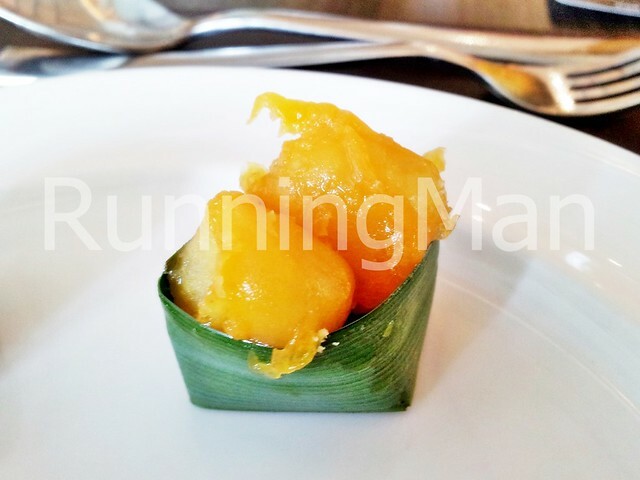 Khanom Chun / Layered Gelatin Jelly has a sticky and soft consistency, and is rather sweet. 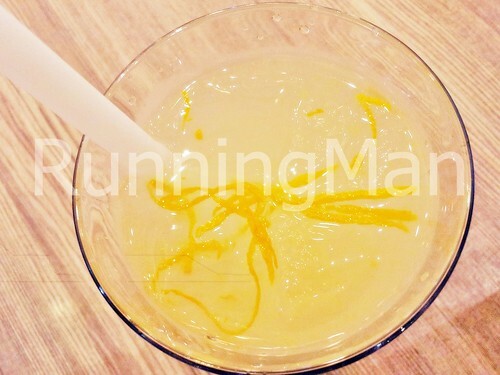 It is often served during celebrations. 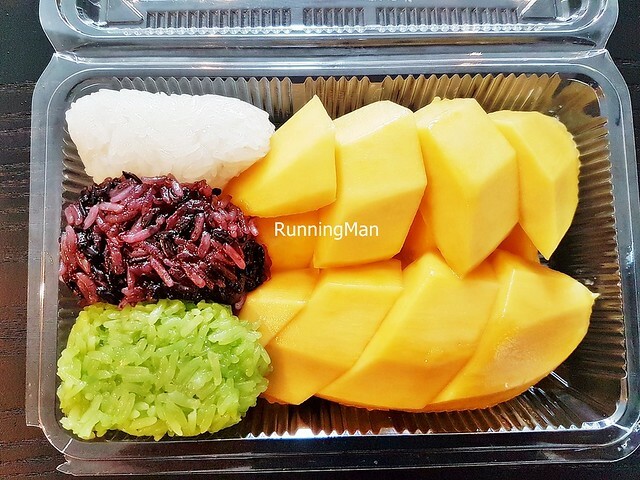 Often sold along the streets of Bangkok, but rarely sold in Thailand restaurants, Khao Niao Mamuang / Mango Sticky Rice is a traditional Thai dessert. 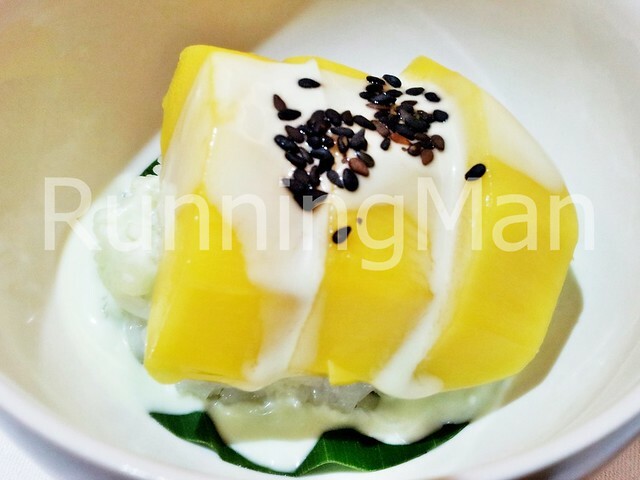 Khao Niao Mamuang / Mango Sticky Rice is made with glutinous rice soaked in coconut milk, sugar, sliced ripe mangoes, coconut cream and salt, then garnished with toasted mung beans. 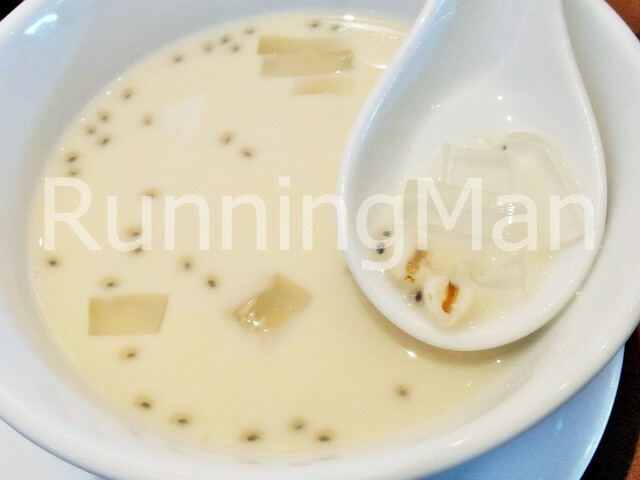 This is probably the most well-known Thai dessert worldwide. 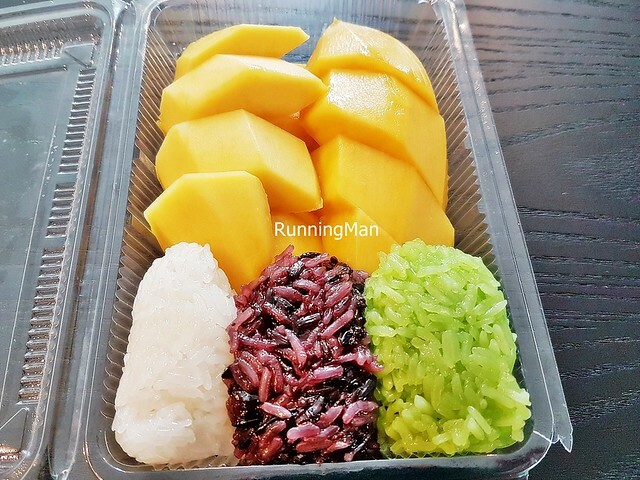 Khao Tom Mat Sai Kluai / Banana Sticky Rice is a traditional steamed dessert, made with glutinous rice soaked in coconut milk, sugar, salt, fresh sliced red banana, dried black beans / dried red beans and a small amount of water flavoured with pandan leaves. 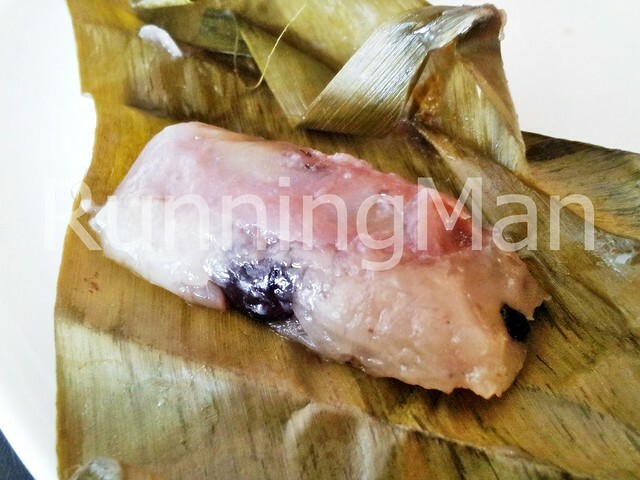 Khao Tom Mat Sai Kluai / Banana Sticky Rice is simple to prepare, and very popular. 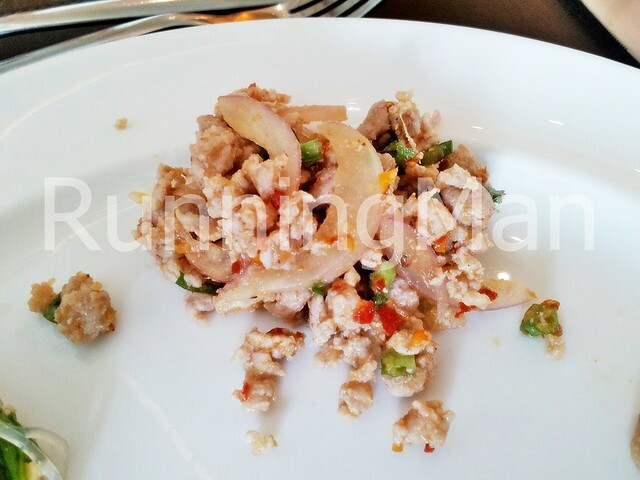 Larb or Laab, is a type of salad derived from Laos cuisine, and features 1 type of minced or sliced meat, mixed with cilantro, onions, chili, shallots, fish sauce, sugar, kaffir lime leaf and pepper. 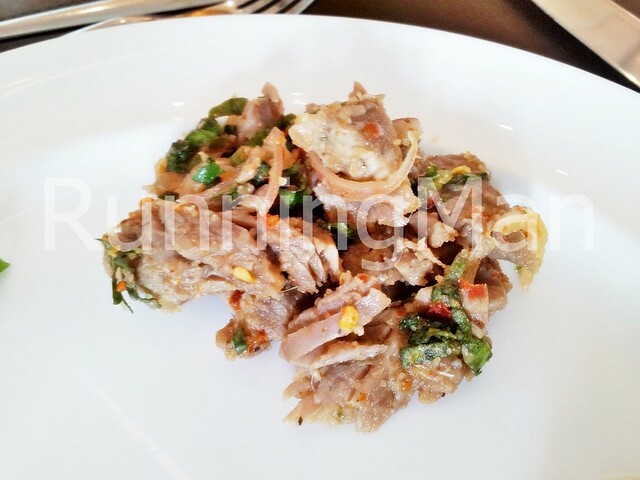 Meat used in Larb or Laab is often pork, chicken, beef or duck. 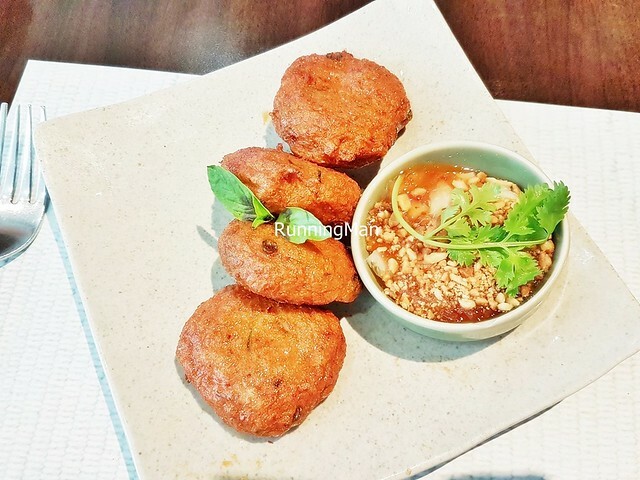 A sweet Thai dessert that is also visually pleasing, Met Khanun / Egg Yolk Coated Mung Bean Flour is made with fried mung bean flour coated with chicken / duck egg yolk. The egg is often wisped on the top, making it look light and airy. 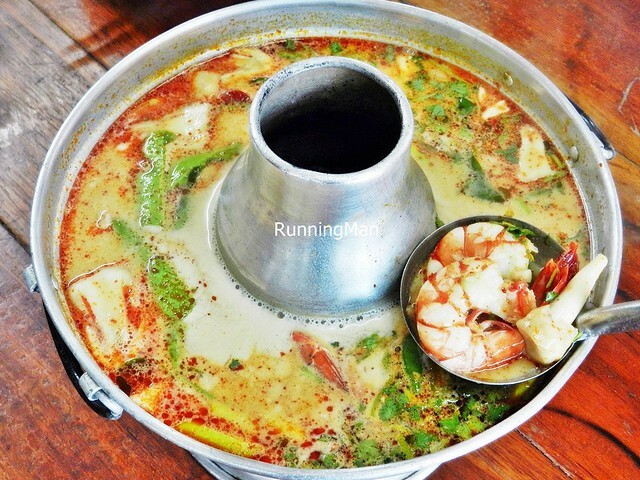 Nam Chim / Dipping Sauce refers to a variety of dipping sauces, though most embody the 4 fundamental Thai tastes of sour, salty, bitter and sweet. 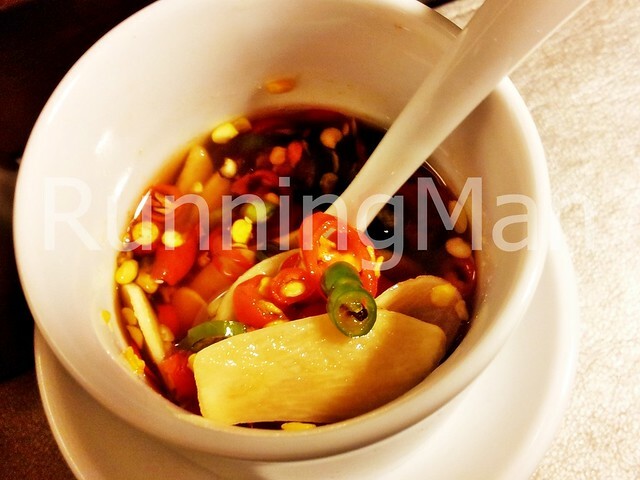 The most basic and generic Nam Chim / Dipping Sauce is typically a mix of chili with sugar, fish sauce, soy sauce, lime juice, vinegar and garlic, often served with grilled or steamed food. 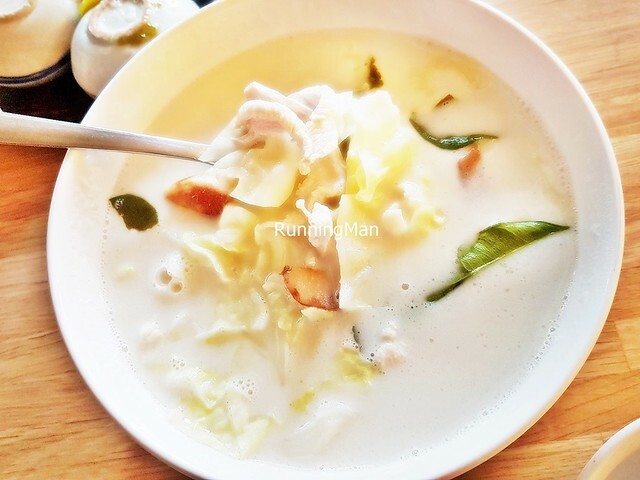 Despite looking and tasting like a dessert, Nam Tao Hoo / Soy Milk is actually a traditional breakfast dish in Thailand. 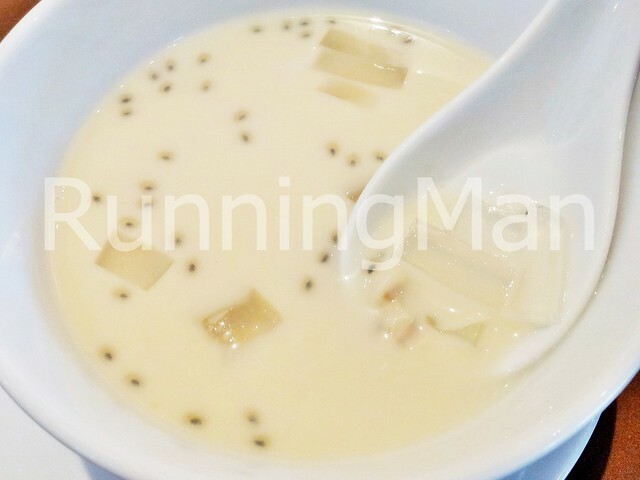 Nam Tao Hoo / Soy Milk is served hot, and consists of soy bean milk and sugar with a variety of ingredients such as gelatin jelly, sago seeds, grass jelly, nata de coco, cereal, red beans, black beans, and more. 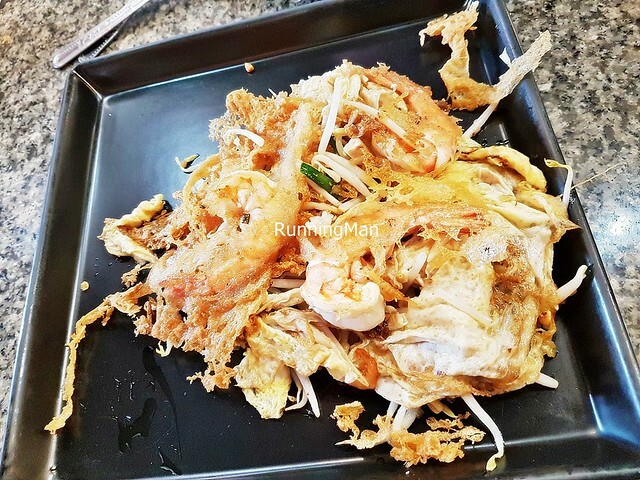 The most well-known and popular noodle dish in Thailand, Pad Thai consists of flat rice noodles stir fried with chicken eggs, chinese firm dry tofu, tamarind pulp, fish sauce, dried shrimp, garlic, shallots, sugar, chili, bean sprouts, garlic chives, coriander, pickled turnip, fresh shrimp and sliced chicken, then garnished with lime wedges and roasted ground peanuts. 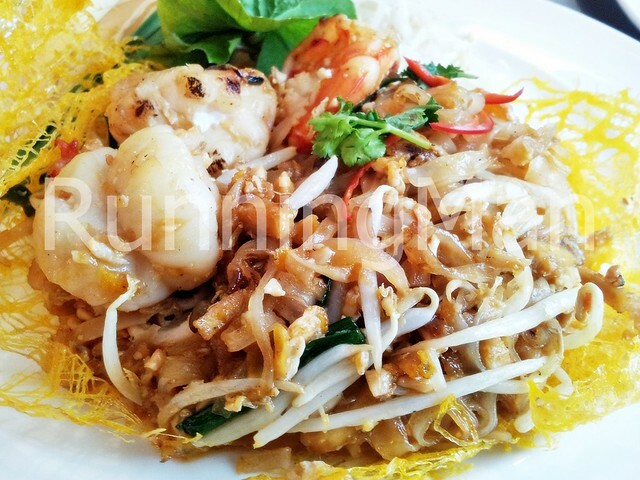 Pad Thai is commonly served along the street in Bangkok. 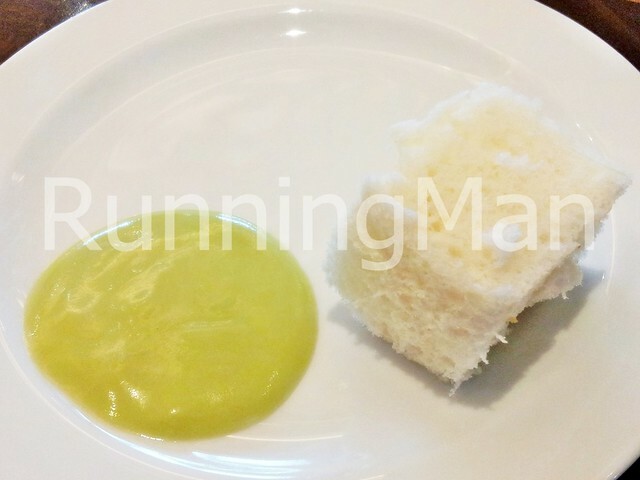 Pandan Spread And Bread is very similar to Kaya (Pandan Egg Jam), except that eggs have been left out of this version. 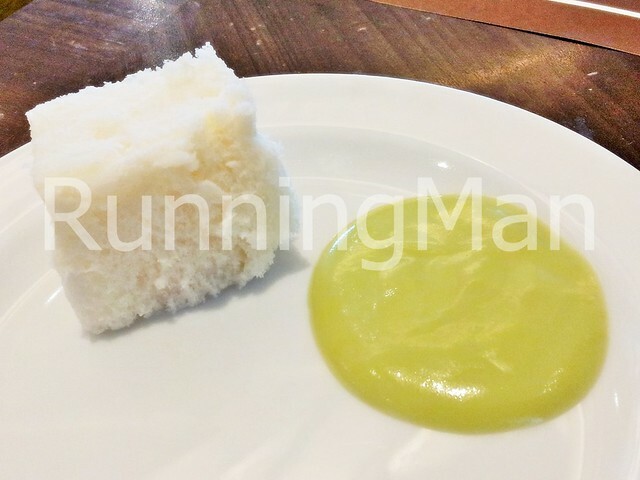 This makes Pandan Spread And Bread a slightly thiner, but no less flavourful spread, with the pandan taste being a lot stronger, and the texture less sticky. 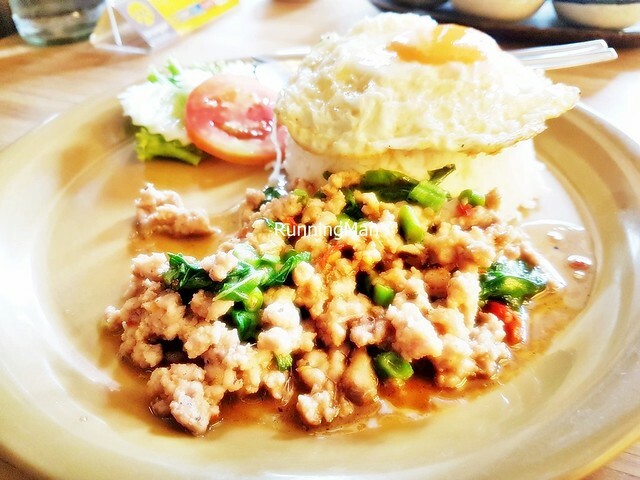 Phat Kaphrao / Basil Minced Pork is a popular Thai street food, made by stir frying minced pork in garlic, chili, Thai holy basil, onions, sugar, fish sauce, kaffir lime leaf, shallots, soy sauce and lime juice. 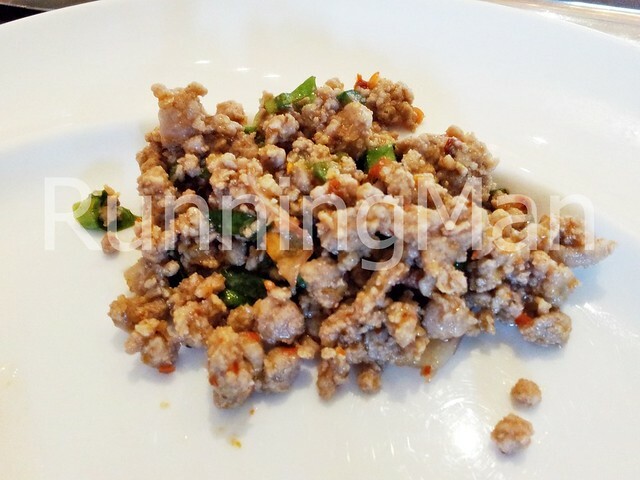 Instead of minced pork, minced chicken, minced beef, or minced duck may sometimes also be used. 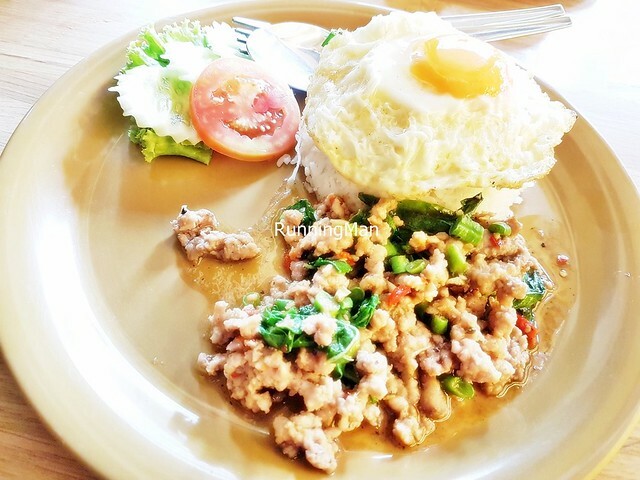 Phat Kaphrao / Basil Minced Pork is served with steamed white rice, and a fried egg. 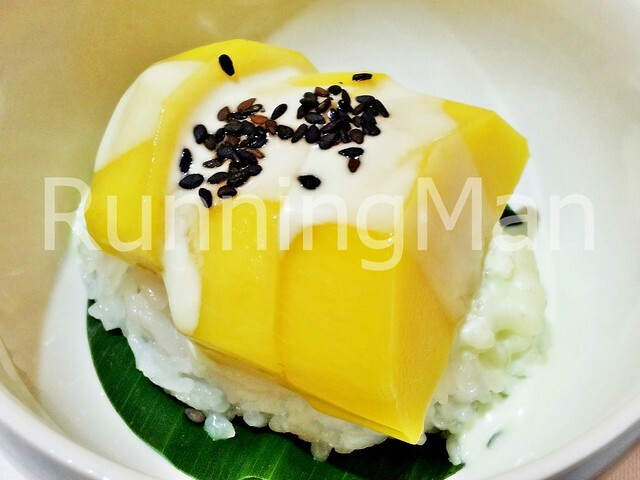 Pineapple Fried Rice is usually prepared with Thai jasmine rice, which results in an aromatic fragrance. 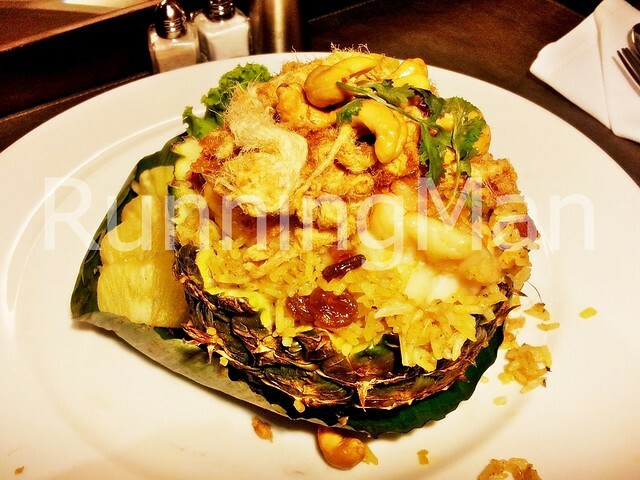 The rice is stir fried with several types of meat / seafood, including prawns, chicken and crab, together with eggs, onions, garlic, pineapple, sugar, salt, chili, fish sauce, lime juice, raisins, peanuts and garnished with cucumber and coriander. 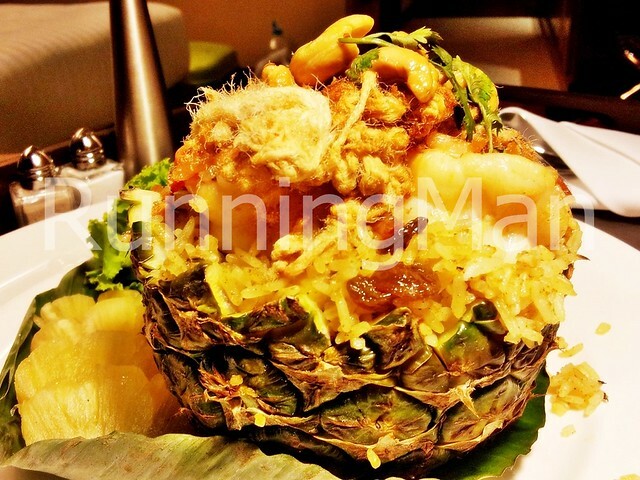 Pineapple Fried Rice is almost always served in a hollowed out pineapple. Commonly sold by pushcarts along the streets of Bangkok, Poh Pia Tod / Fried Spring Roll is a deep-fried dish often consumed as a snack or appetizer. 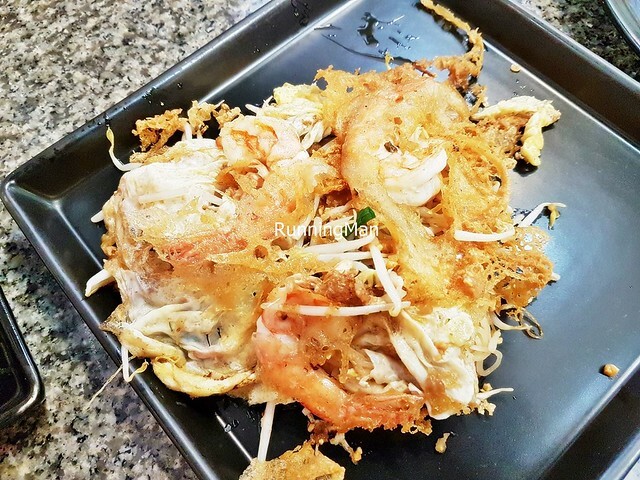 Because Poh Pia Tod / Fried Spring Roll is so simple to prepare, recipes for this dish vary widely, although most versions include glass vermicelli noodles, bean sprouts, wood ear mushrooms and cilantro. 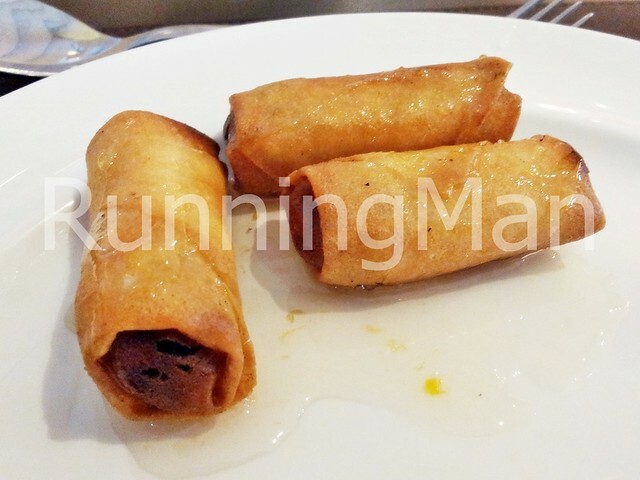 Poh Pia Tod / Fried Spring Roll is often served with a Thai sweet chili sauce for dipping. 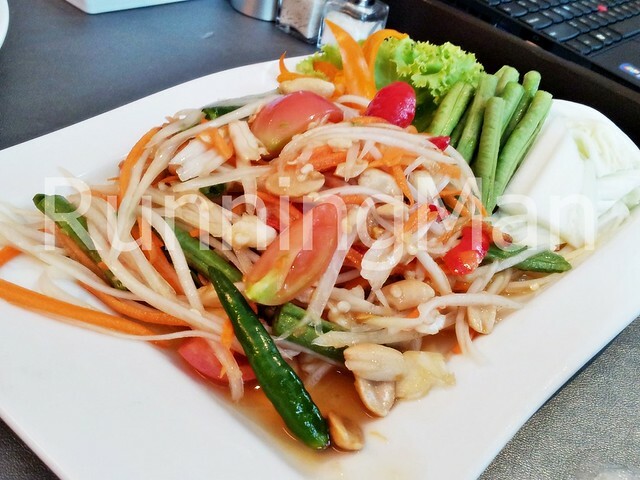 Considered to be an iconic Thai salad, Som Tam / Thai Green Papaya Salad is made with julienne unripe papaya mixed and pounded in a mortar with chili, sugar, garlic, lime juice, fish sauce, dried shrimp and shrimp paste, then garnished with cherry tomatoes, string beans / yardlong beans, pea eggplant and toasted ground peanuts. 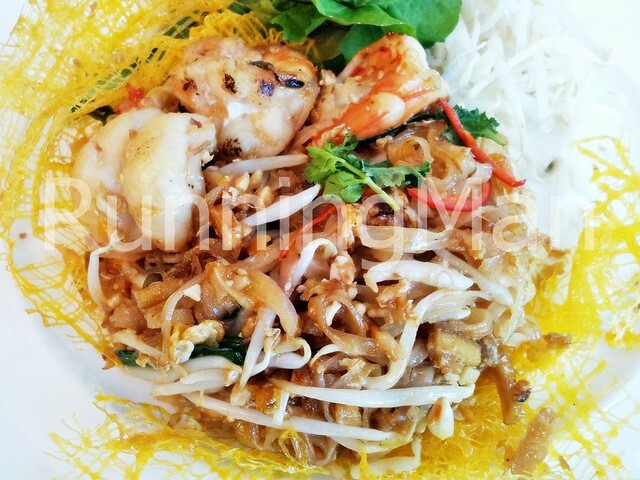 Som Tam / Thai Green Papaya Salad may sometimes also include salted crab, fresh squid, fresh prawns, cucumbers or carrots. 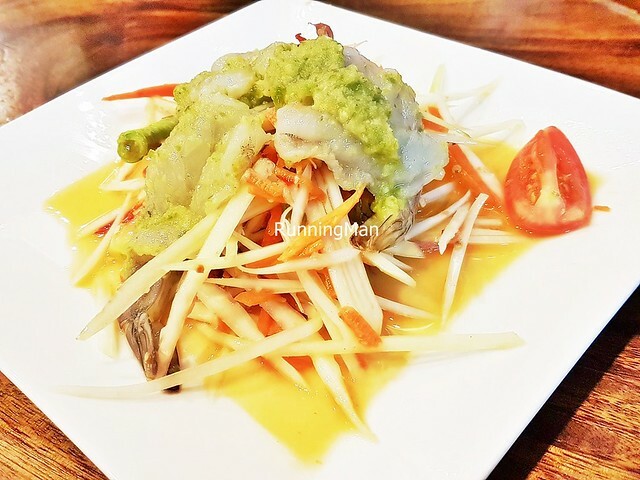 Instead of julienne unripe papaya, a variation uses julienne unripe mango, and this version is called Som Tum Mamuang / Thai Green Mango Salad. 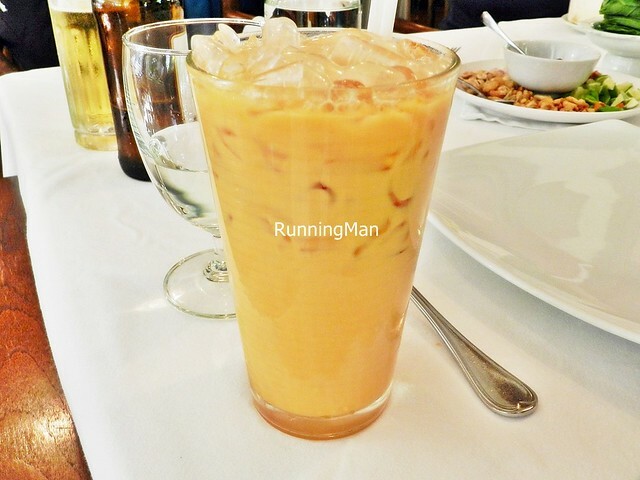 Thai Iced Tea is a chilled black tea with sugar and condensed milk, which is very sweet and rich. 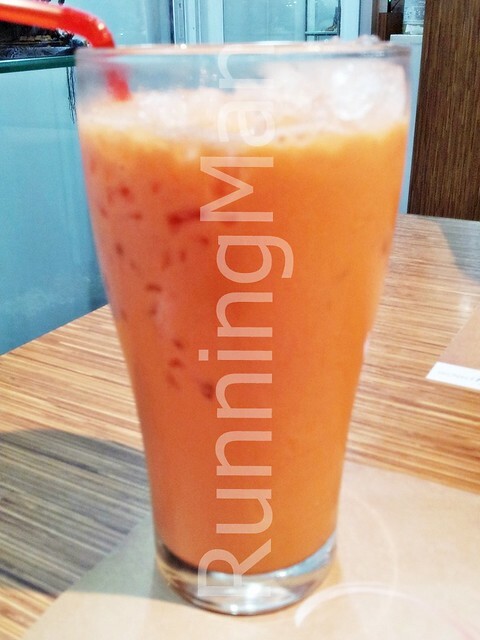 Thai Iced Tea is a typical drink found on the menu in many Thai restaurants. 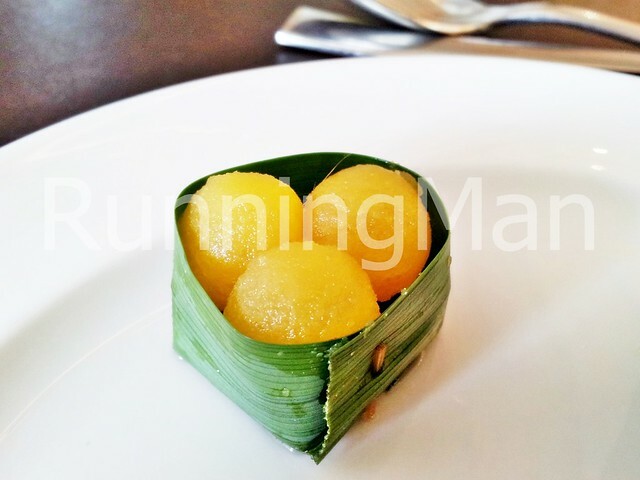 A traditional Thai dessert served during weddings / auspicious celebrations, Thong Yod / Golden Egg Tear Drop consists of wheat flour, rice flour, sugar, water and egg yolks. Thong Yod / Golden Egg Tear Drop is difficult to make, due to the skill required to create the teardrop shape with the fingers, and has a soft texture, a golden and glossy look, and a sweet taste. Thong Yod / Golden Egg Tear Drop is supposed to bring good fortune and wealth to those who eat it. 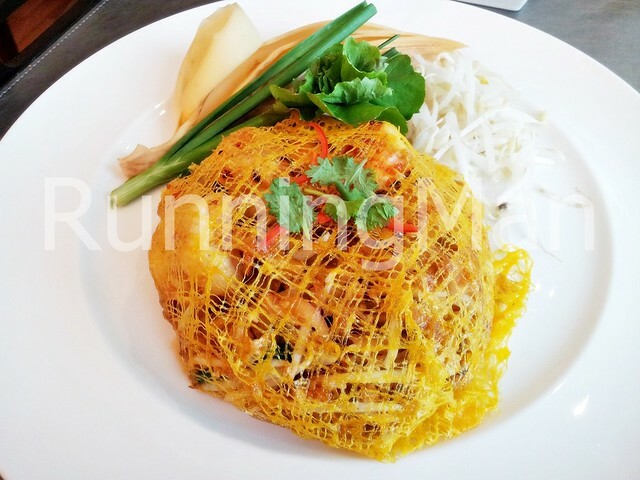 Thot Man Pla / Thai Fish Cake is a classic street food eaten as a snack or appetizer. 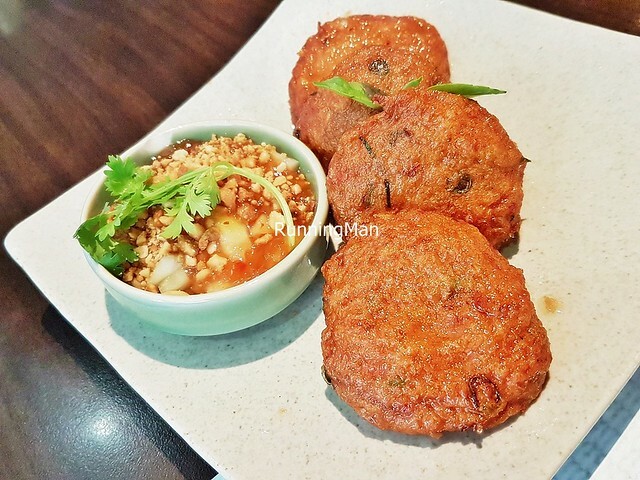 Thot Man Pla / Thai Fish Cake is made with minced fish paste, egg whites, long beans, cumin seeds, coriander seeds, peppercorn, salt, red chili, galangal, lemongrass, kaffir lime leaf, coriander root, shallots, garlic and shrimp paste. 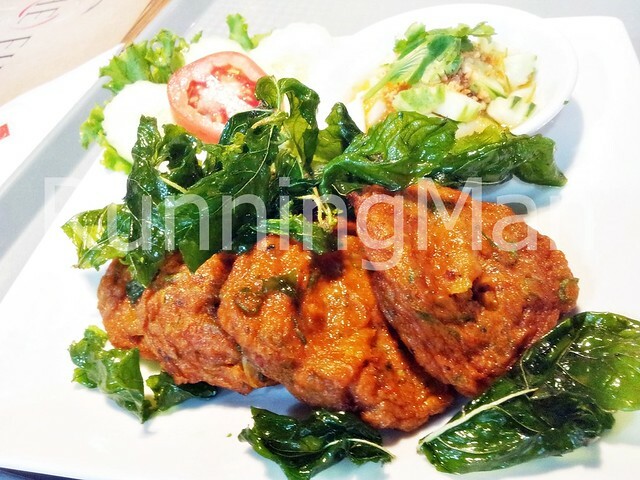 Everything is pounded / blended together until it forms a paste, which is then shaped into circles and deep fried. 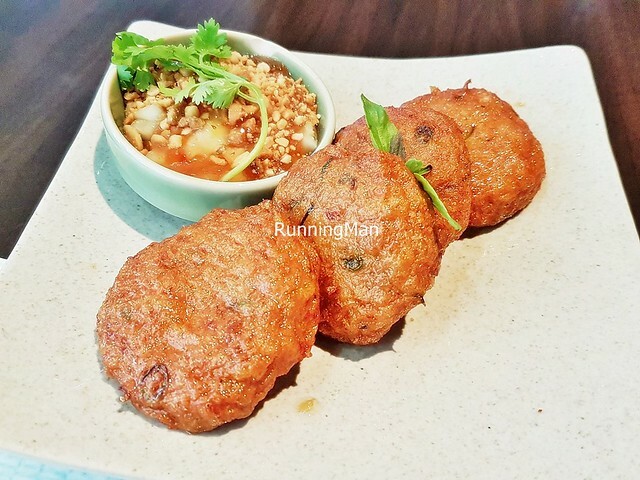 Thot Man Pla / Thai Fish Cake is served with Thai sweet chili and a cucumber relish. 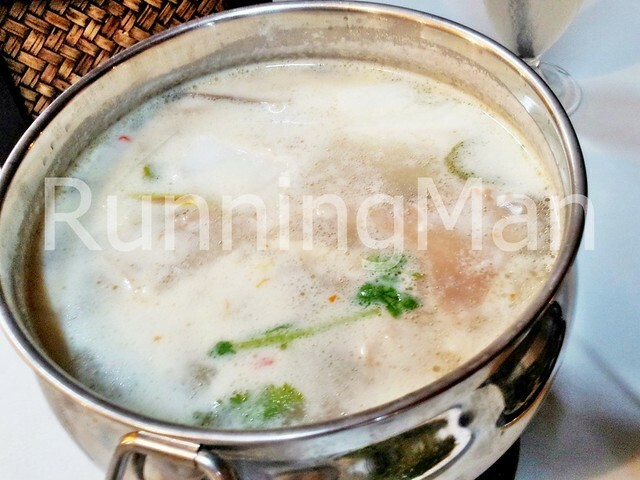 Tom Kha Gai is a thin, milky soup / broth / curry, that consists of coconut milk, chicken, galangal, lemongrass, kaffir lime leaf, lime juice, fish sauce, sugar, straw mushrooms, button mushrooms, shiitake mushrooms, chili and coriander leaves. 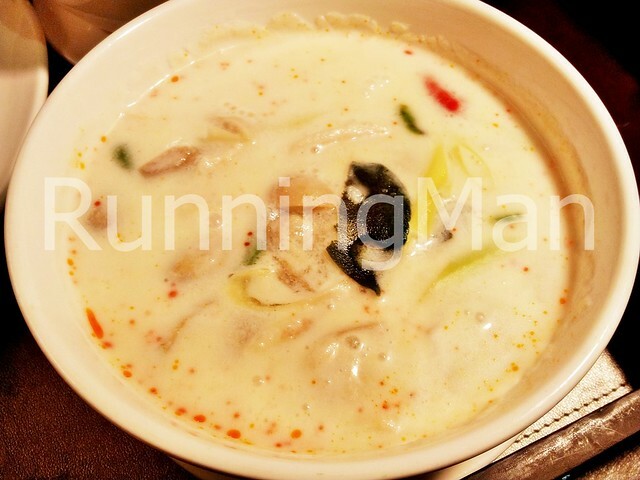 Tom Kha Gai has an intense aroma, a smooth, creamy taste and is served with steamed white rice as a main dish. 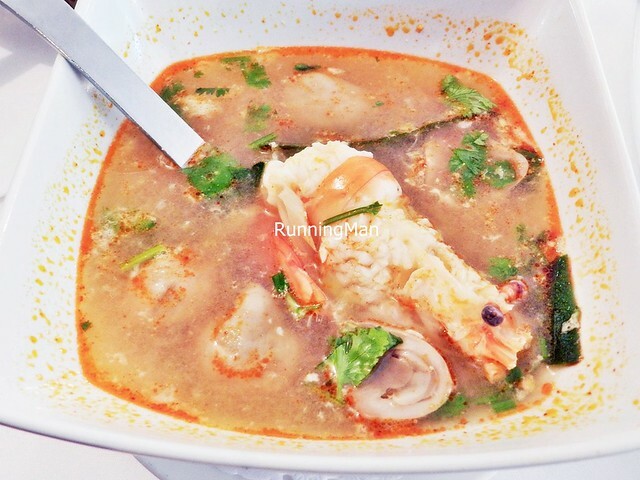 Tom Yum Goong is a sour and spicy soup / broth, made with chili, cilantro, fish sauce, kaffir lime leaf, lemongrass, lime juice, water, galangal and shrimp stock. 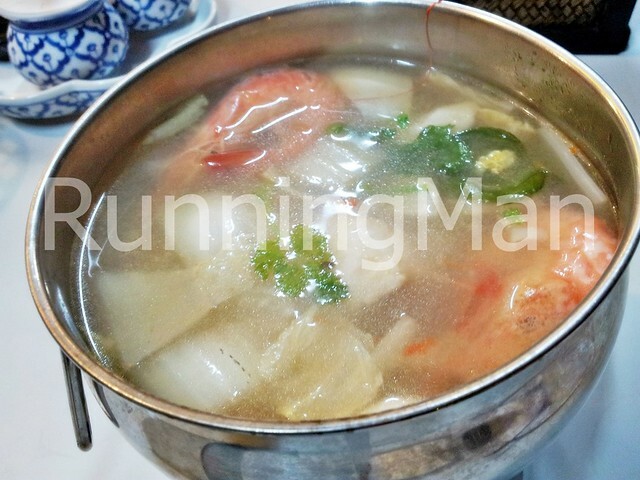 Fresh prawns, straw mushrooms and oyster mushrooms are added to garnish the finished dish of Tom Yum Goong. 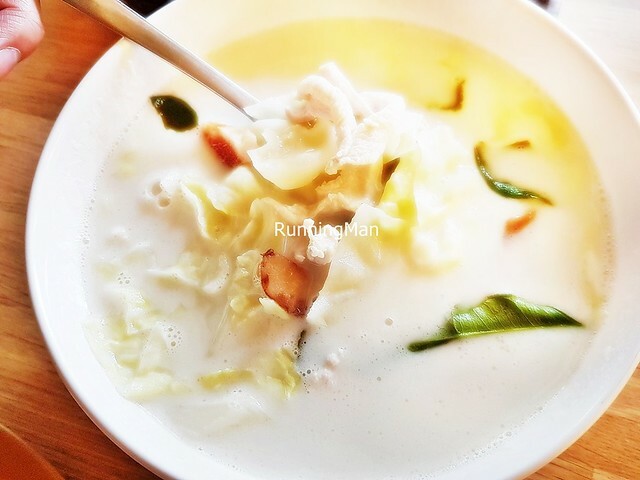 Other variations may include sliced chicken, fish, squid or clams. 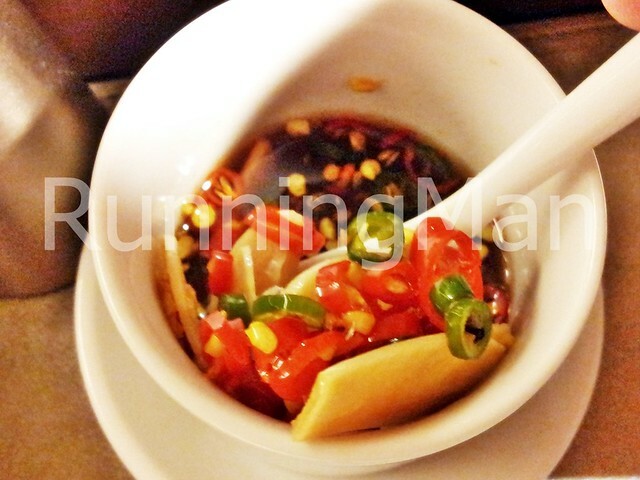 Thai chili jam (Nam Phrik) is used to turn Tom Yum Goong from a clear soup, to a red / orange soup. 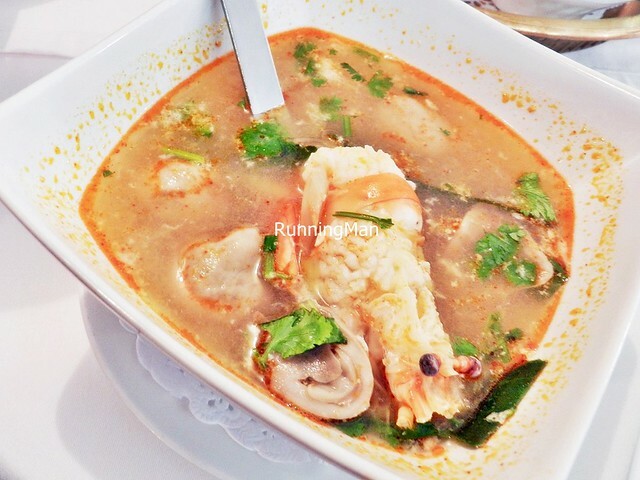 Tom Yum Goong is the most popular form of Tom Yum, and is considered an iconic dish of Thailand cuisine. 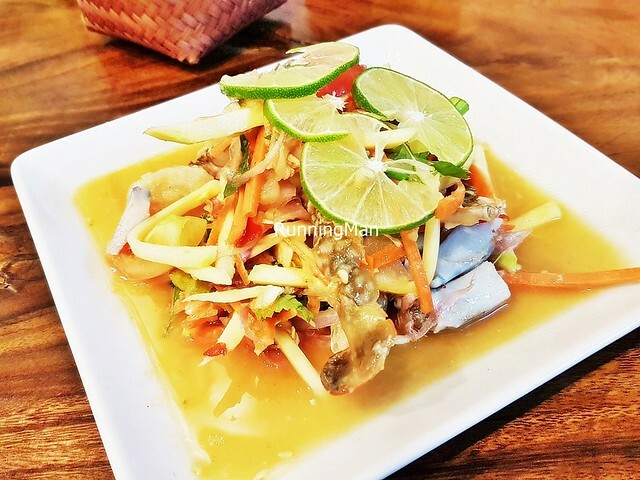 Yam Thale / Seafood Salad can be made with a wide variety of ingredients, but will nearly always contain sliced fresh shallots, onions, fish sauce, lime juice, sugar, lemongrass, ginger, galangal, coriander and chilli. 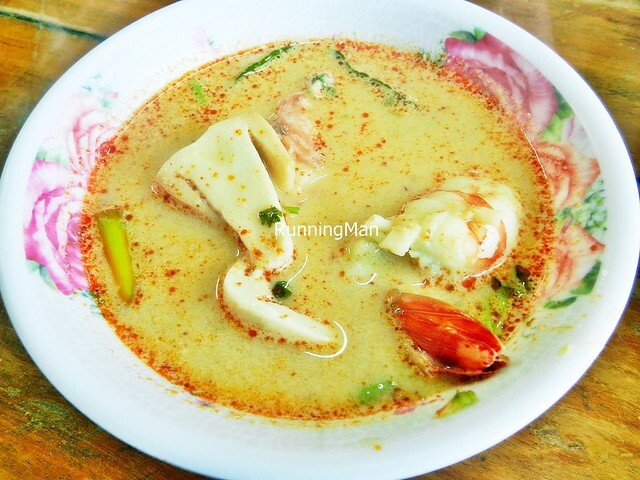 Seafood used in Yam Thale / Seafood Salad may include fresh prawns, squid, mussels, clams, fish or crab. 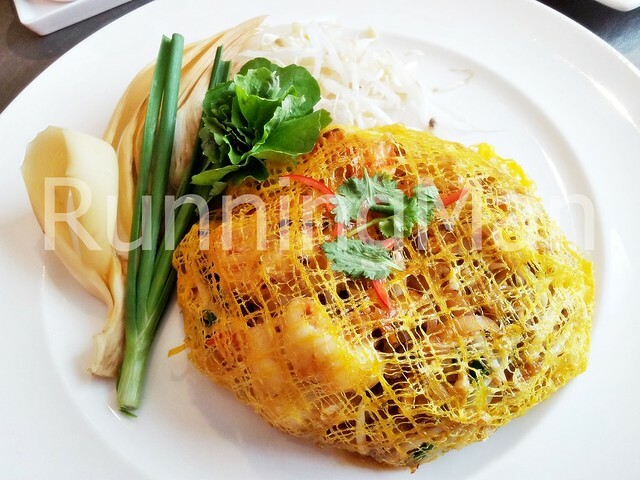 Yam Wun Sen / Glass Noodle Seafood Salad consists of glass vermicelli noodles, shallots, bean sprouts, chili, garlic, onions, fish sauce, lime juice, dried shrimp, coriander, sugar, fresh prawns, minced pork and tomatoes. 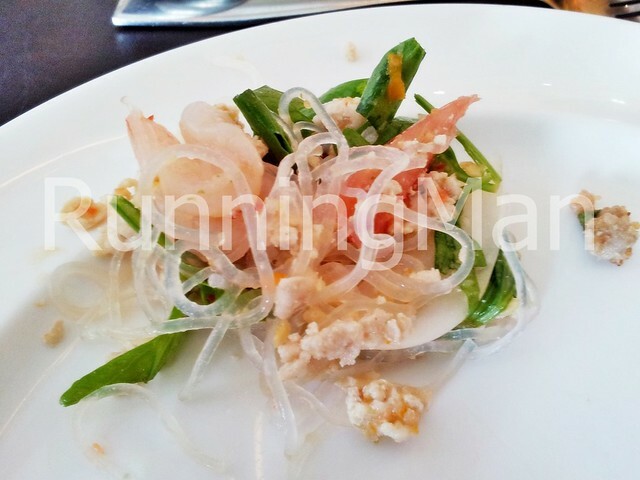 Yam Wun Sen / Glass Noodle Seafood Salad is served cold / chilled, and eaten as an appetizer. 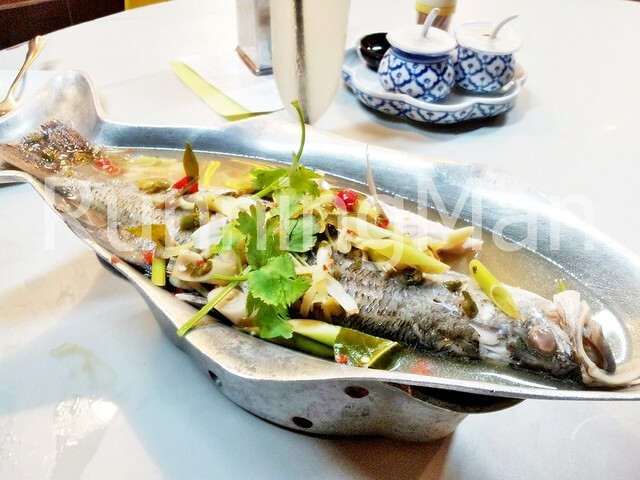 Steamed Sea Bass Fish In Garlic Chili Lime Sauce / Pla Neung Manao is a simple dish that is very popular, and usually ordered as part of a group / family meal. 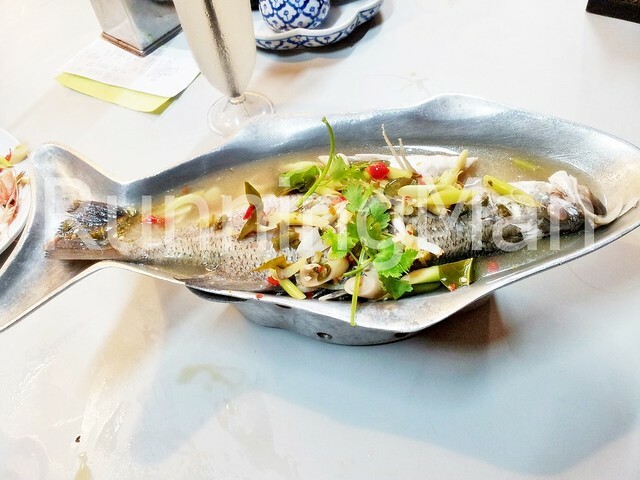 A whole sea bass fish is steamed together with garlic, lemongrass, chili, sugar, fish sauce, lime juice, fish stock / chicken stock, light soy sauce and coriander.